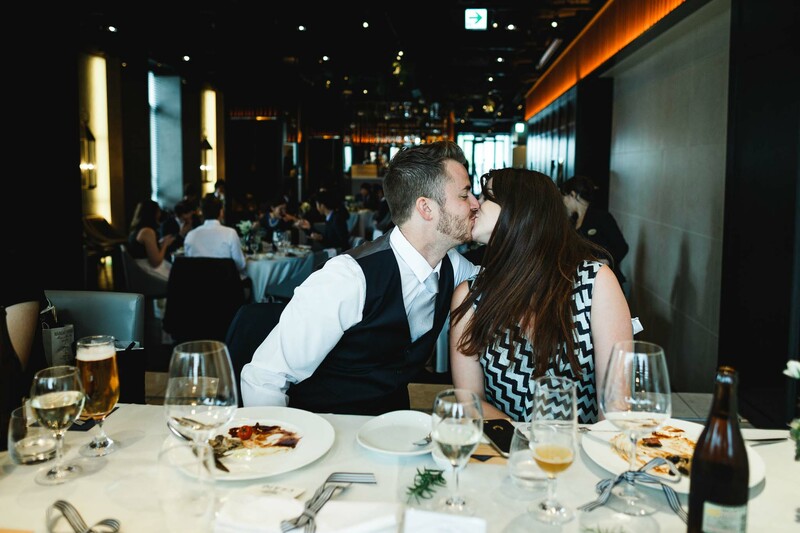 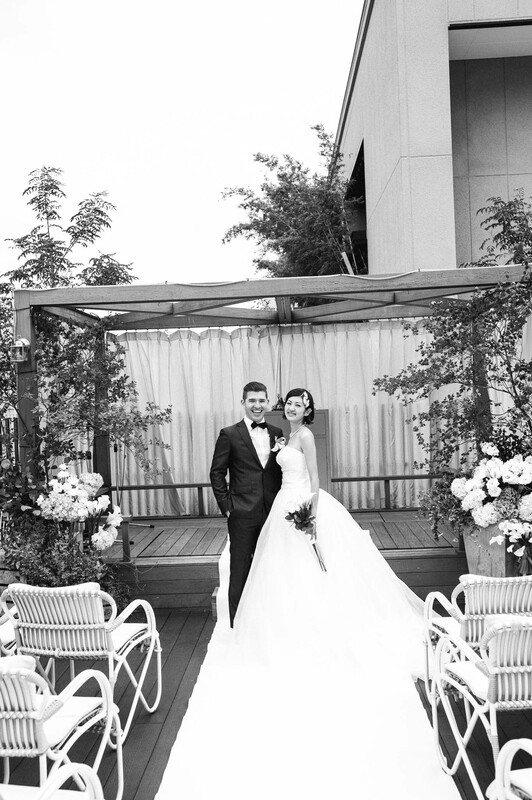 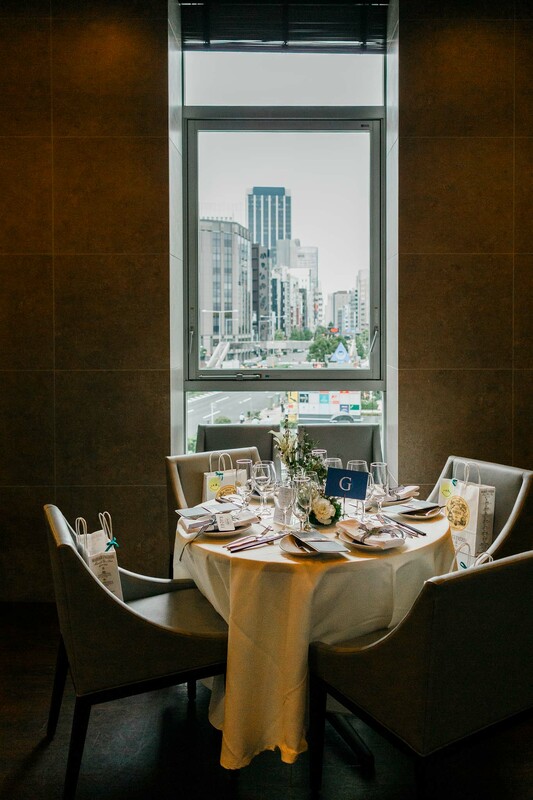 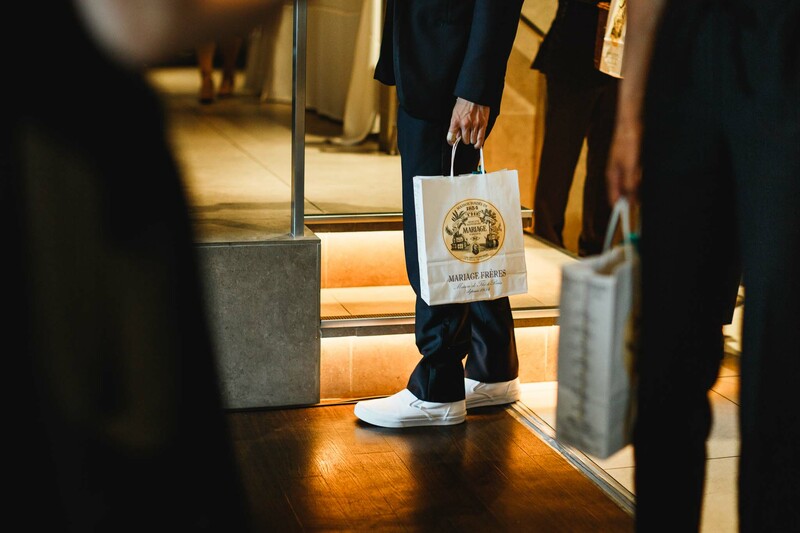 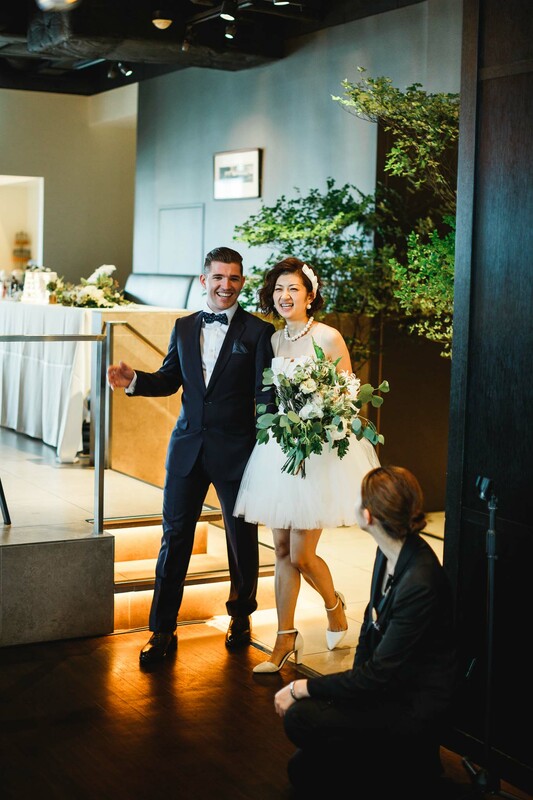 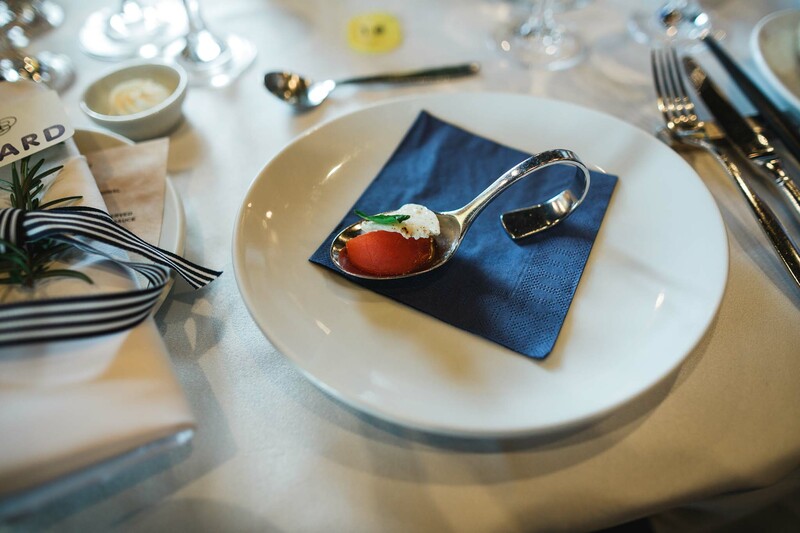 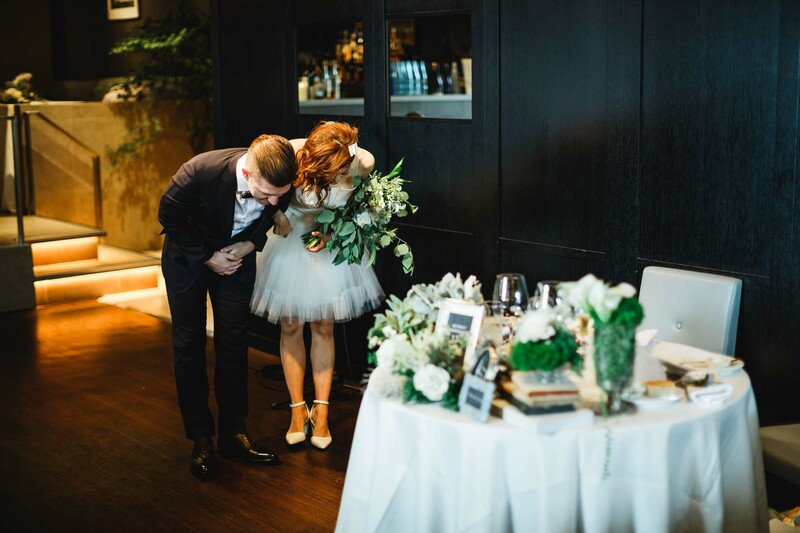 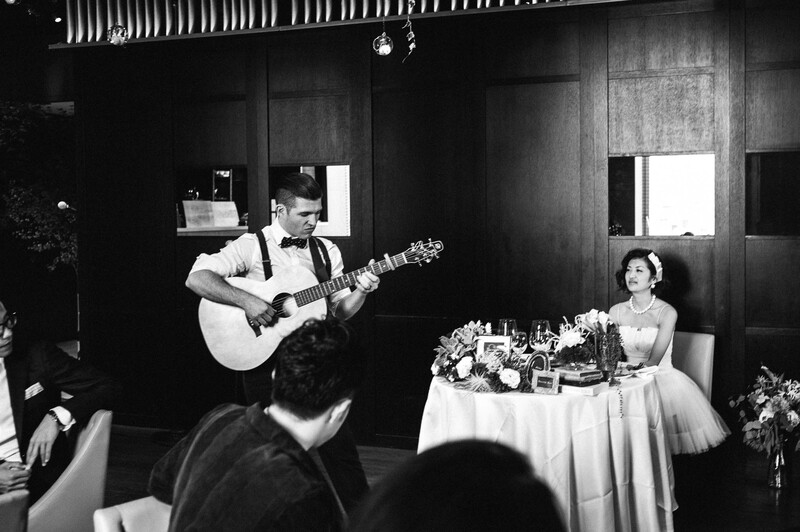 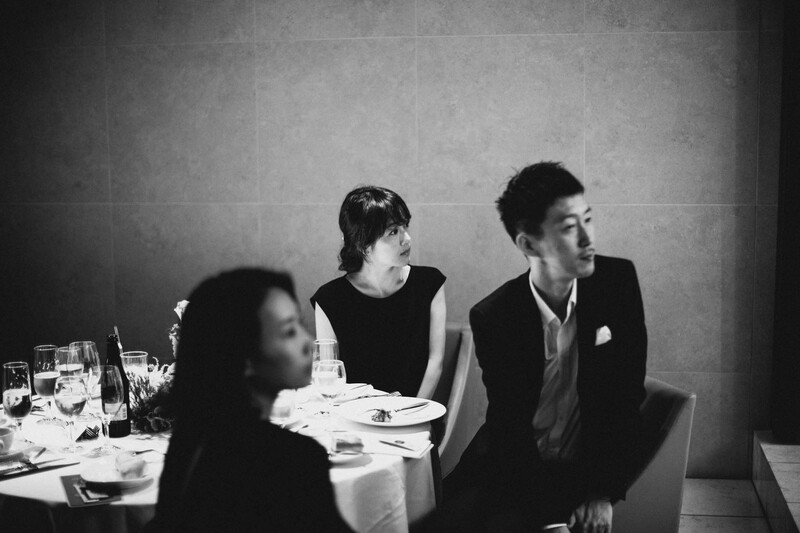 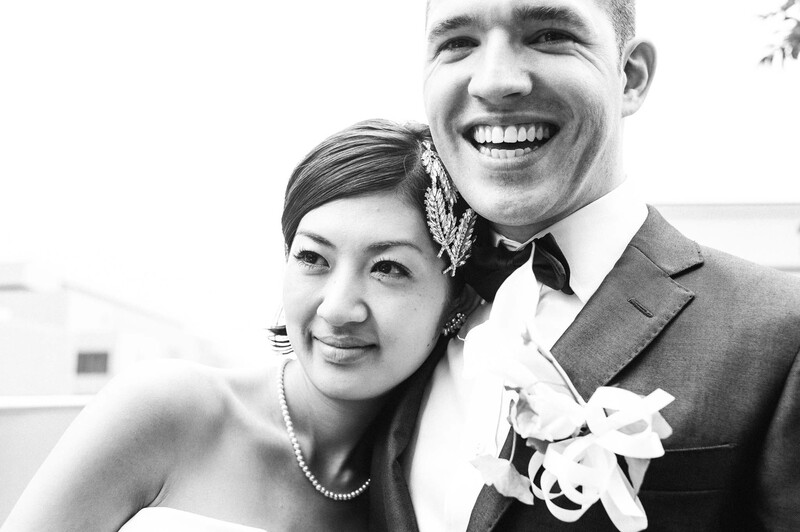 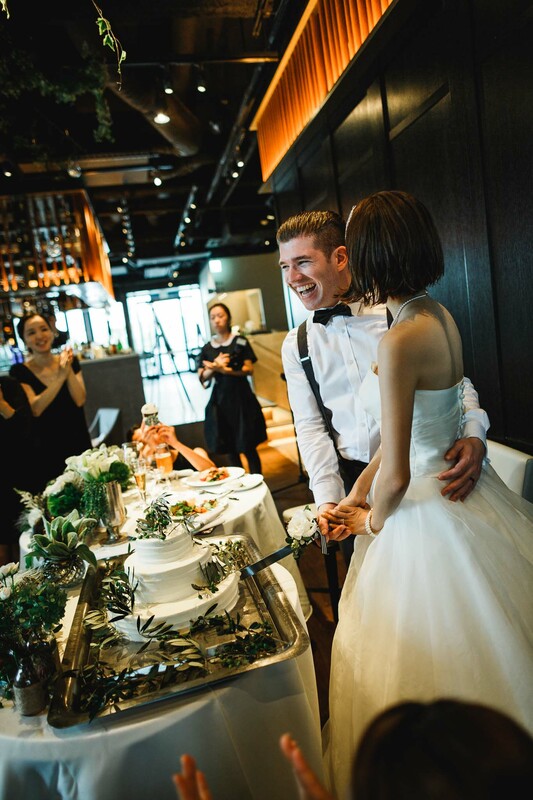 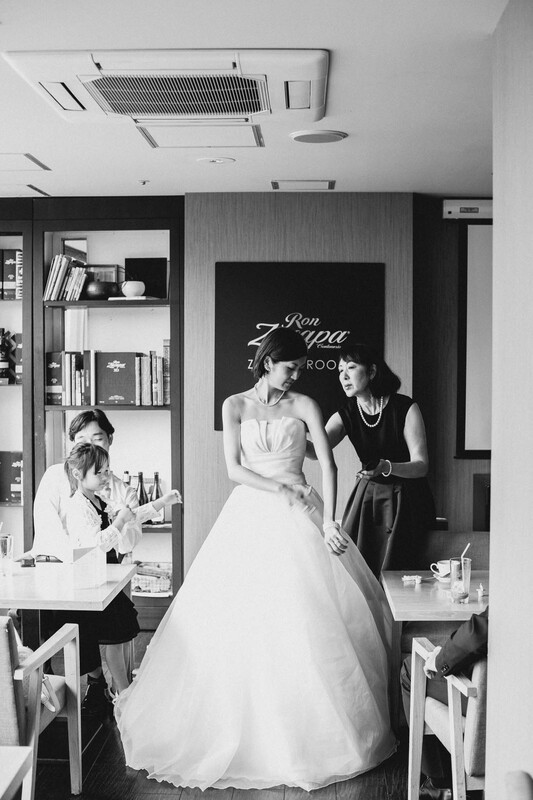 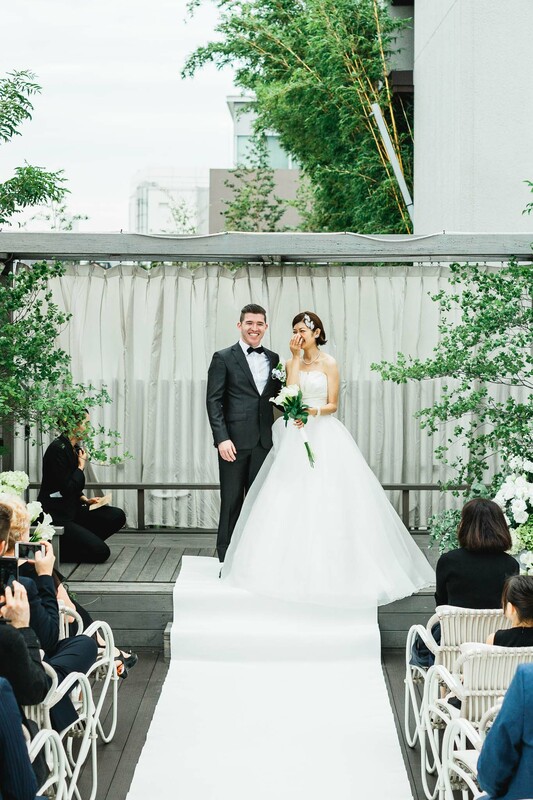 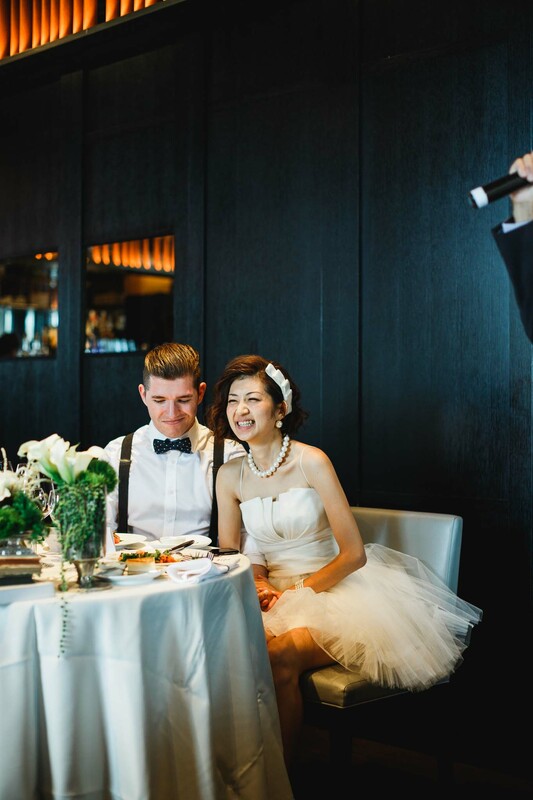 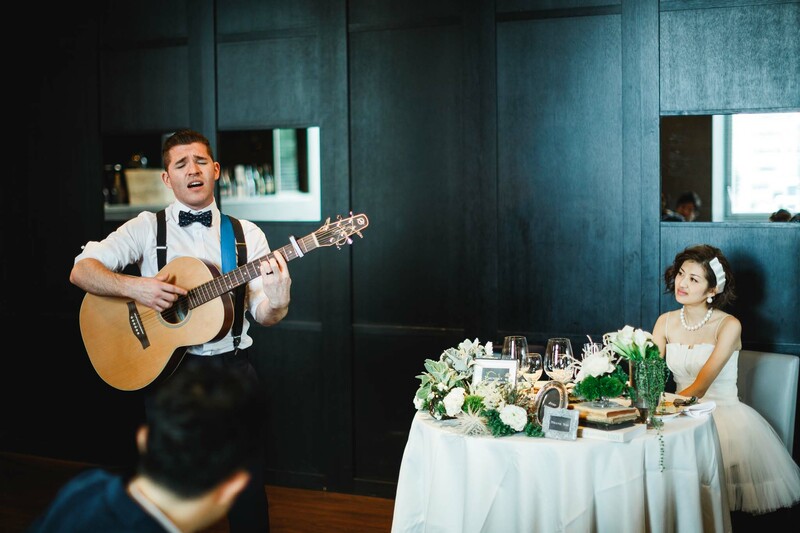 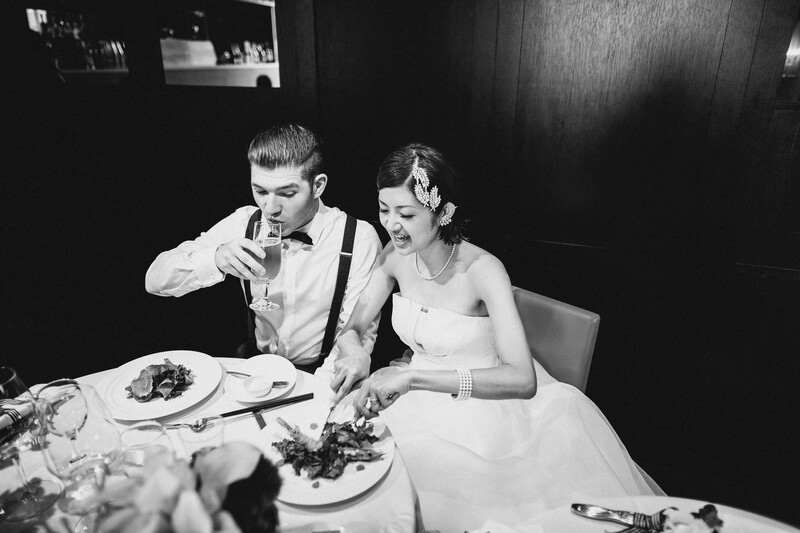 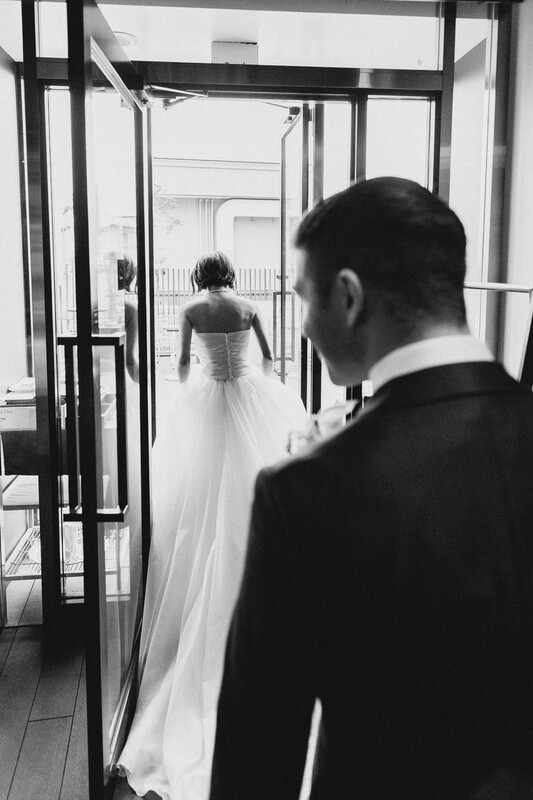 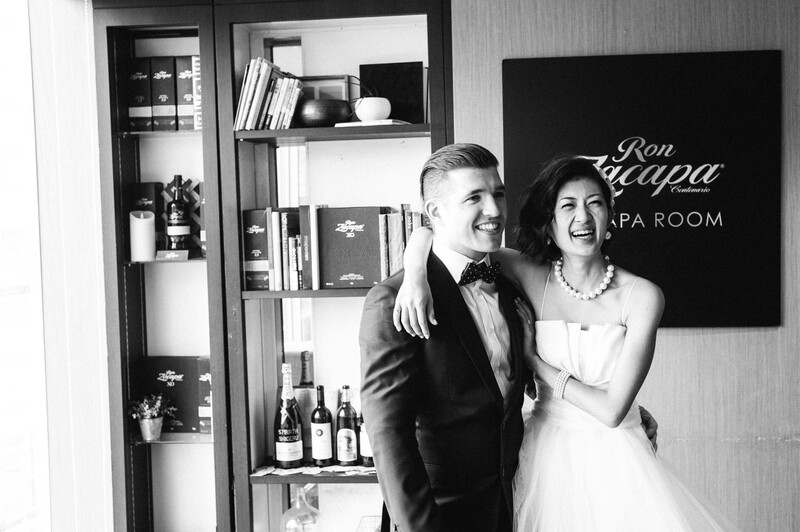 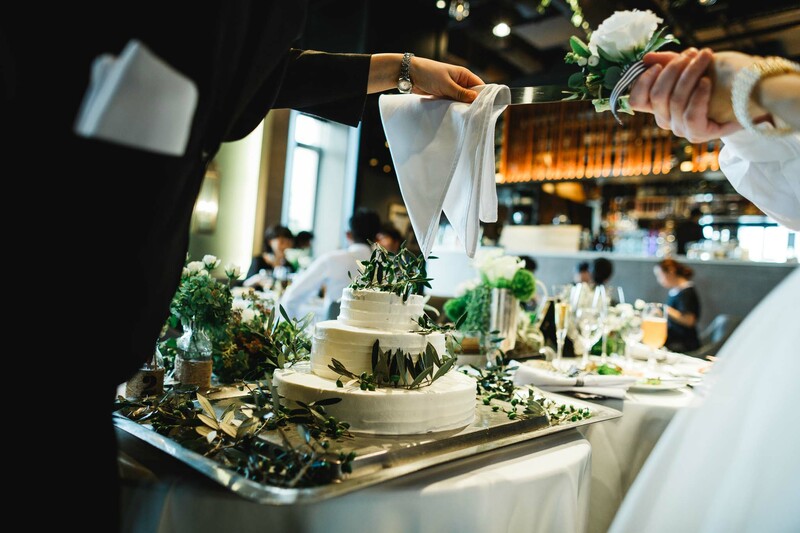 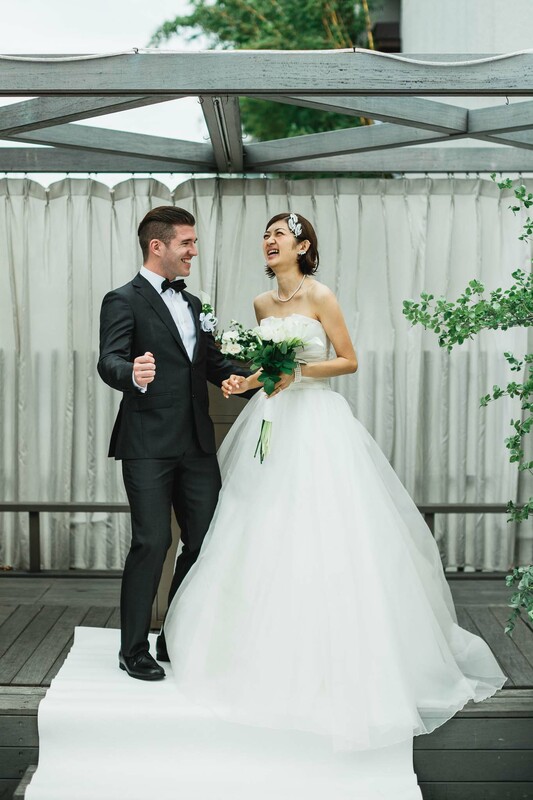 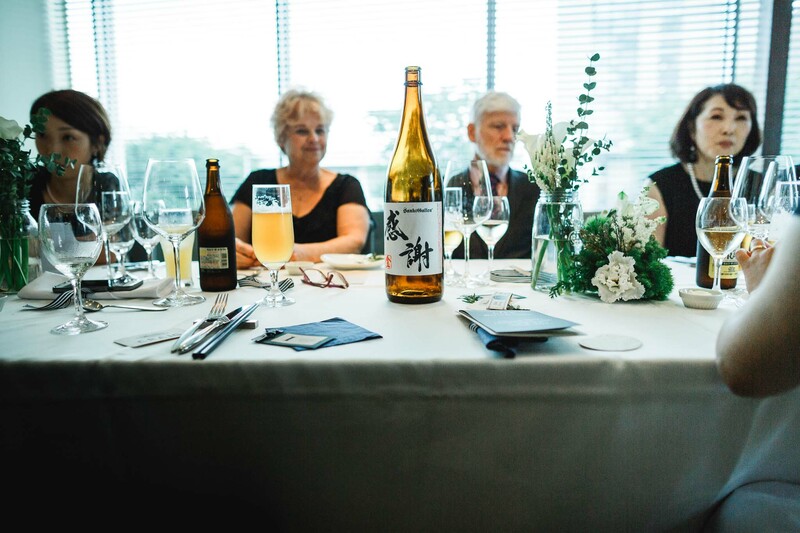 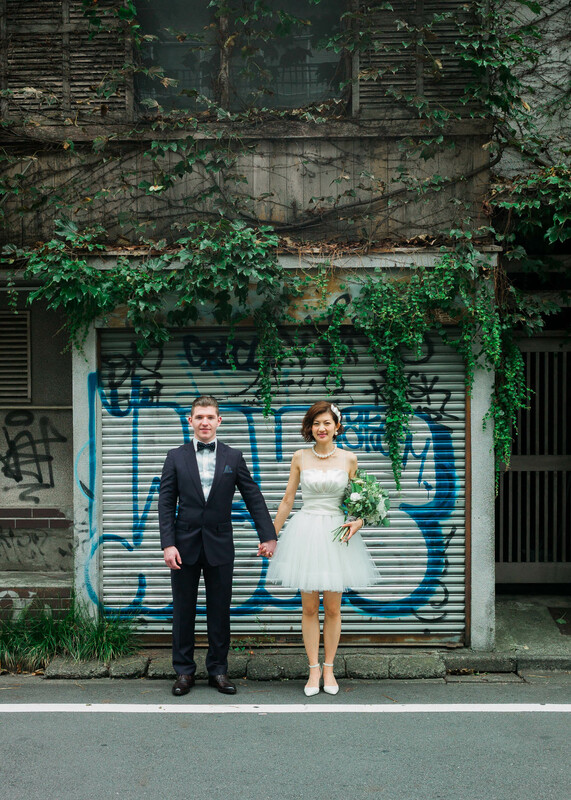 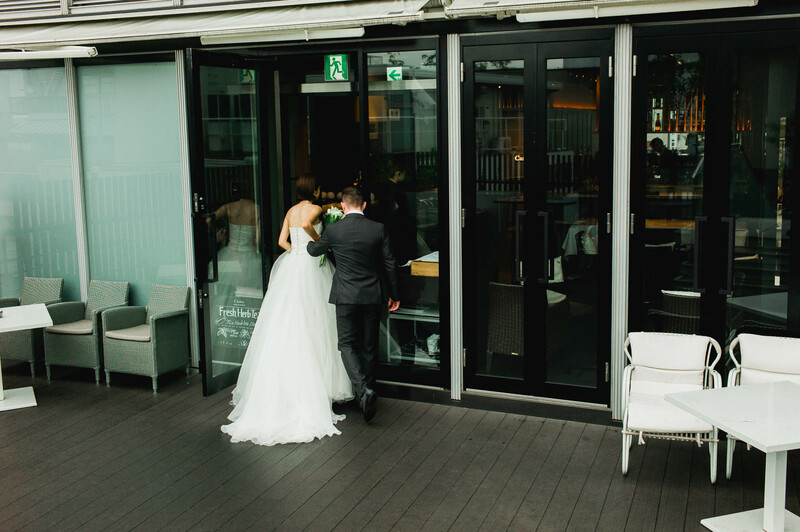 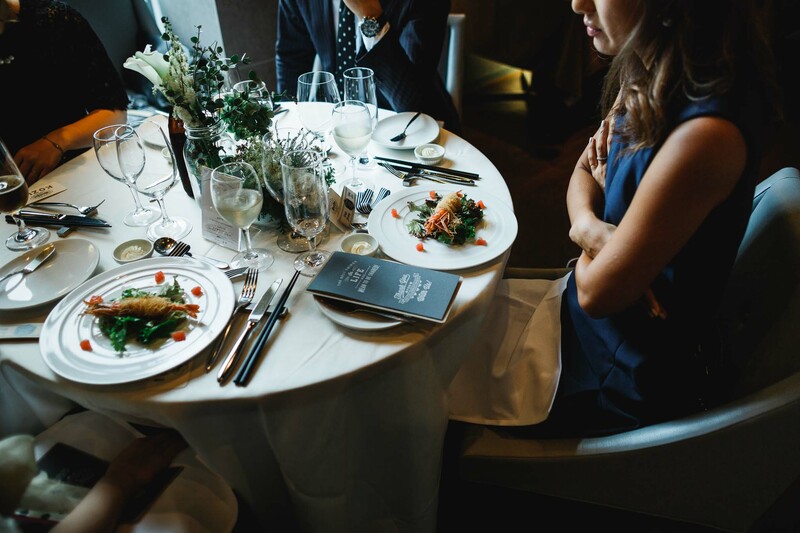 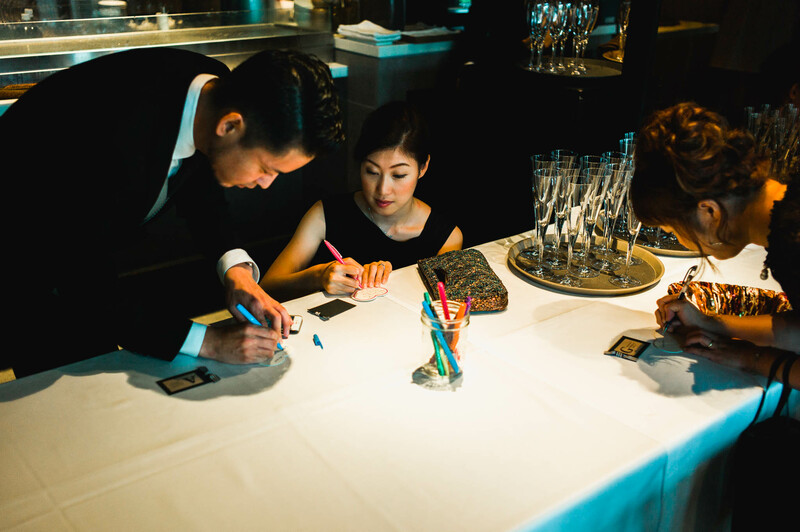 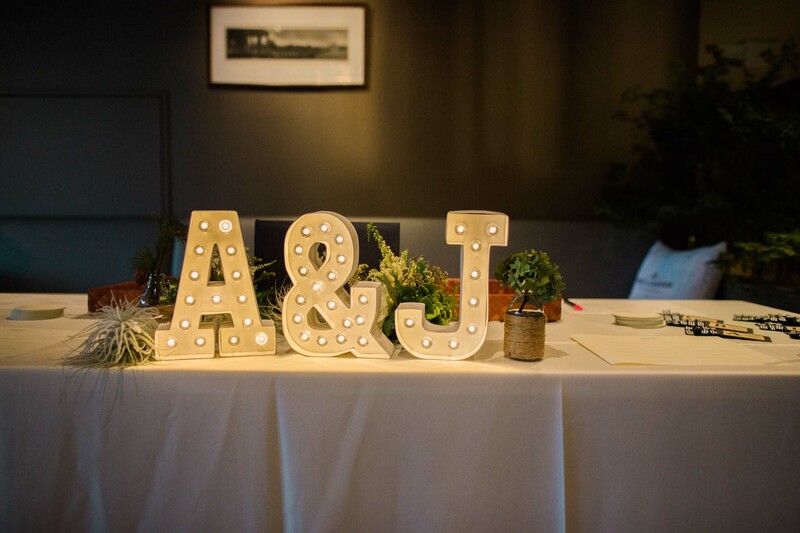 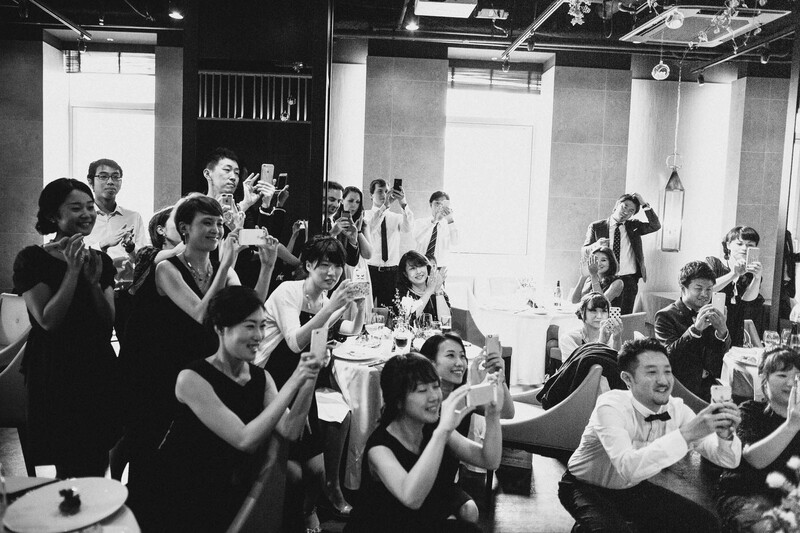 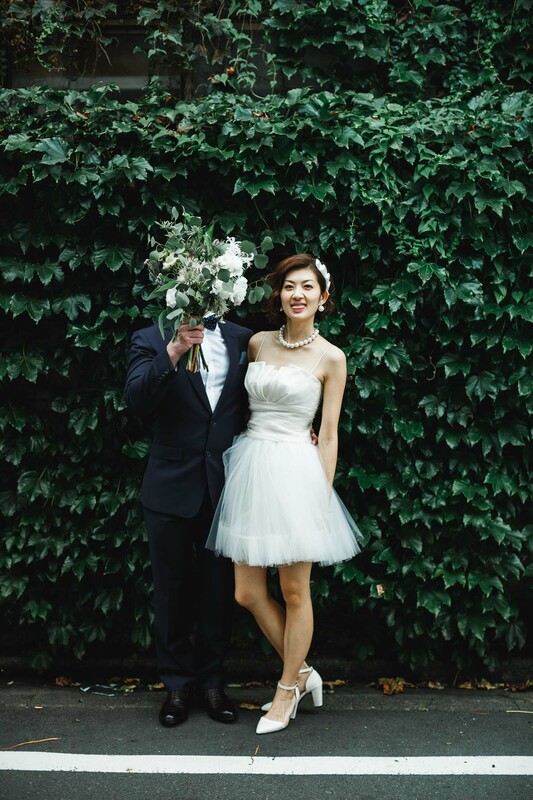 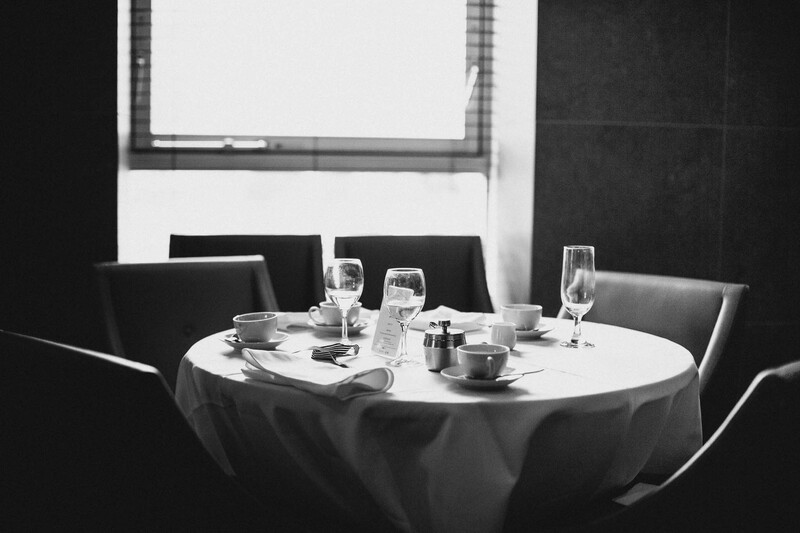 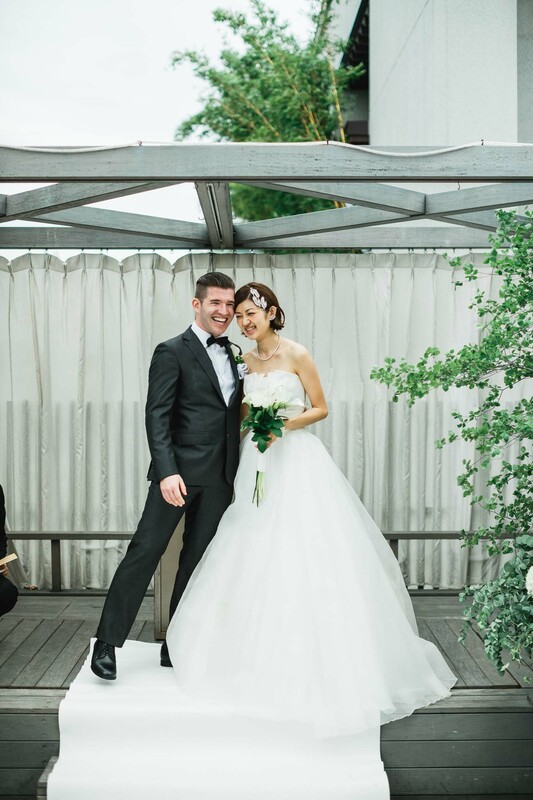 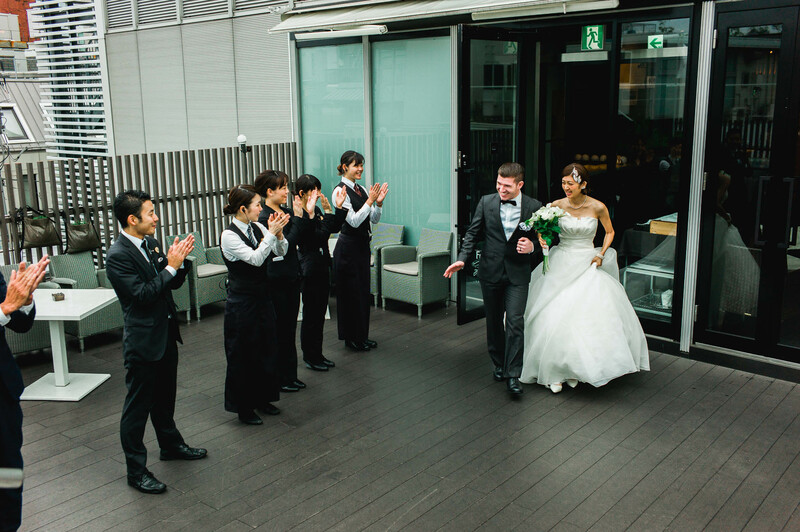 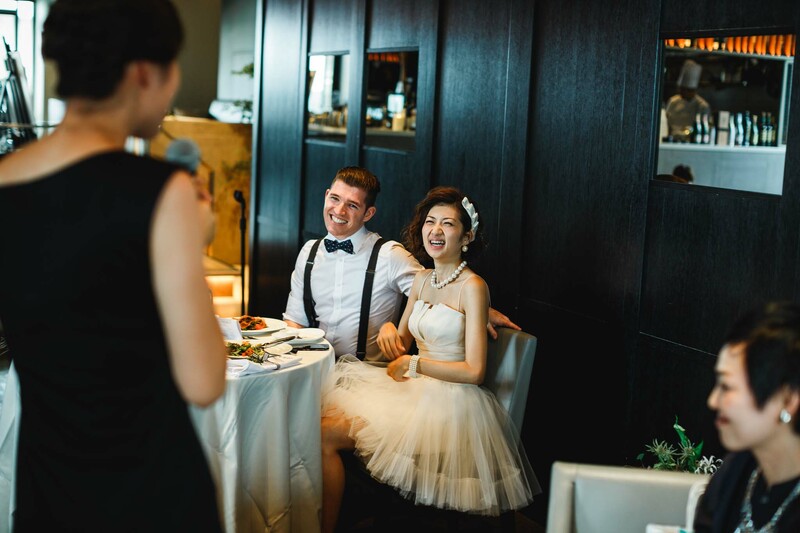 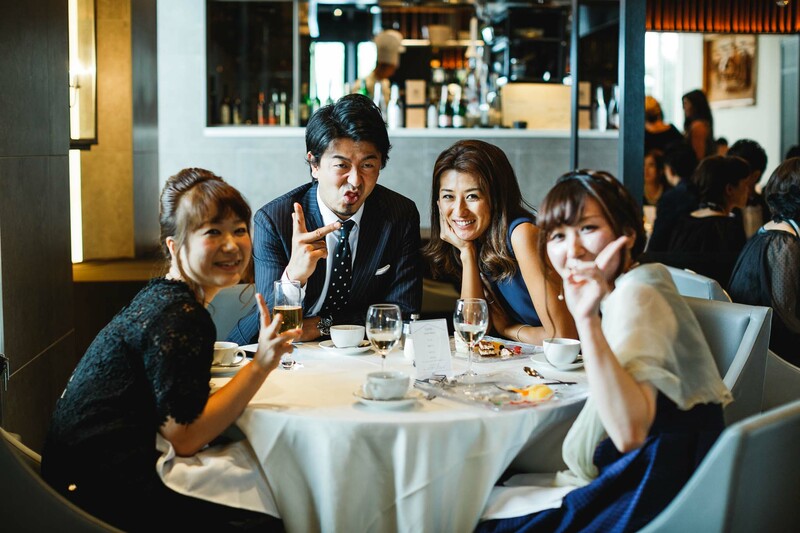 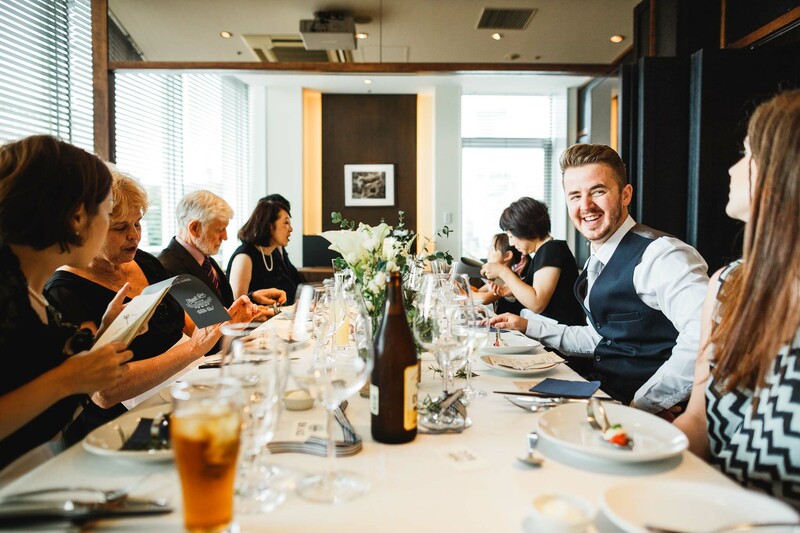 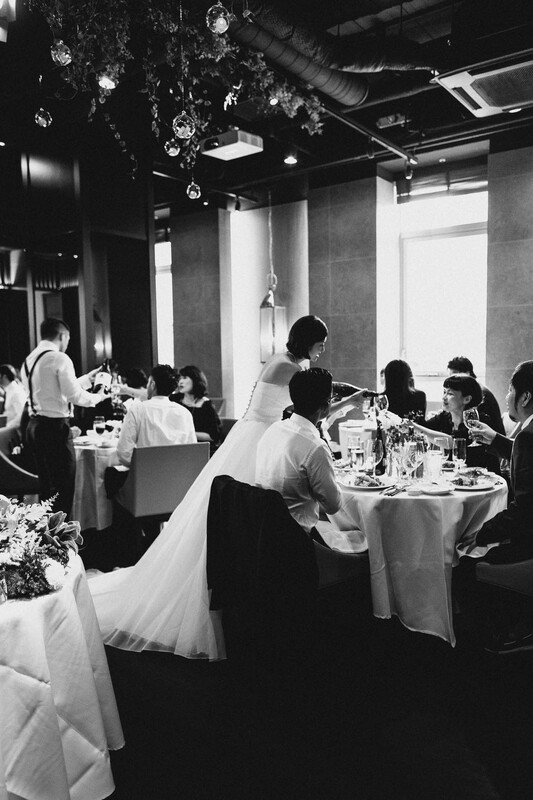 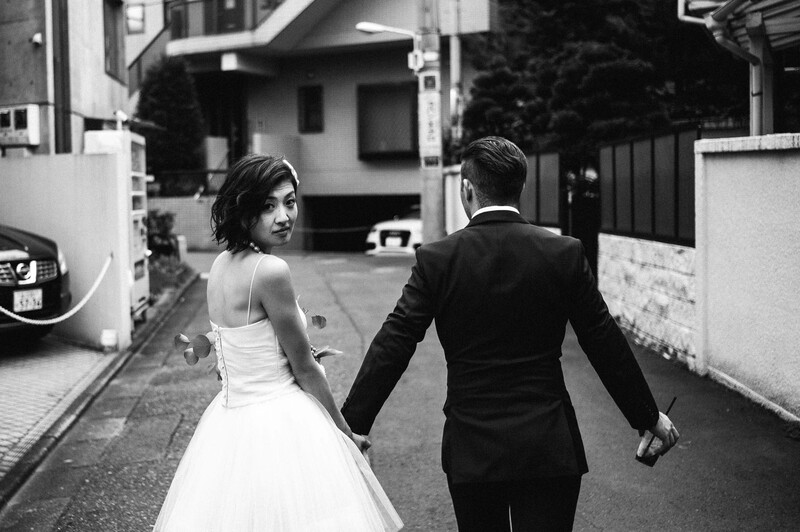 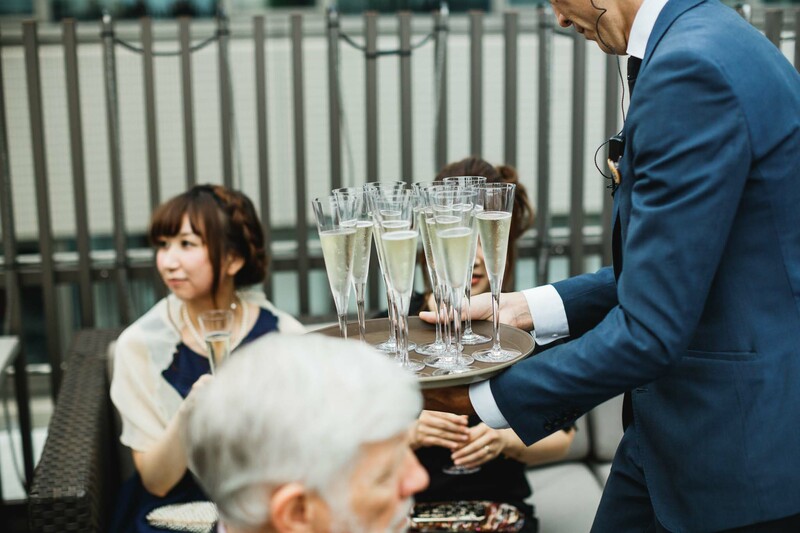 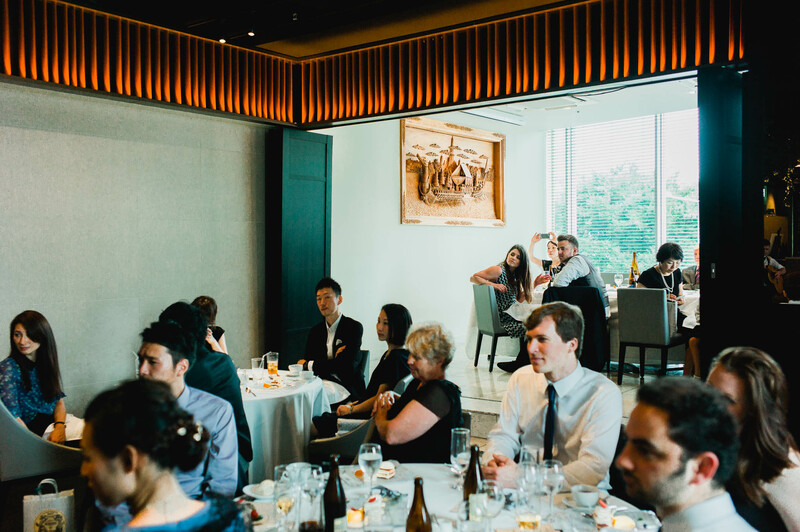 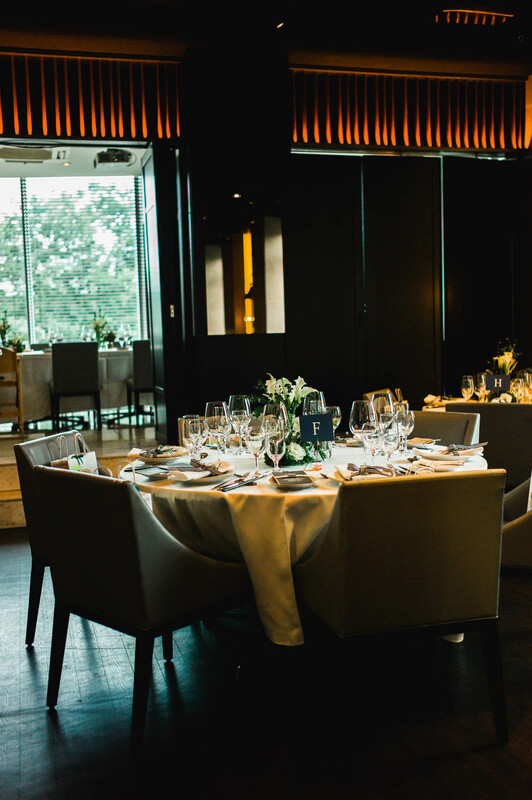 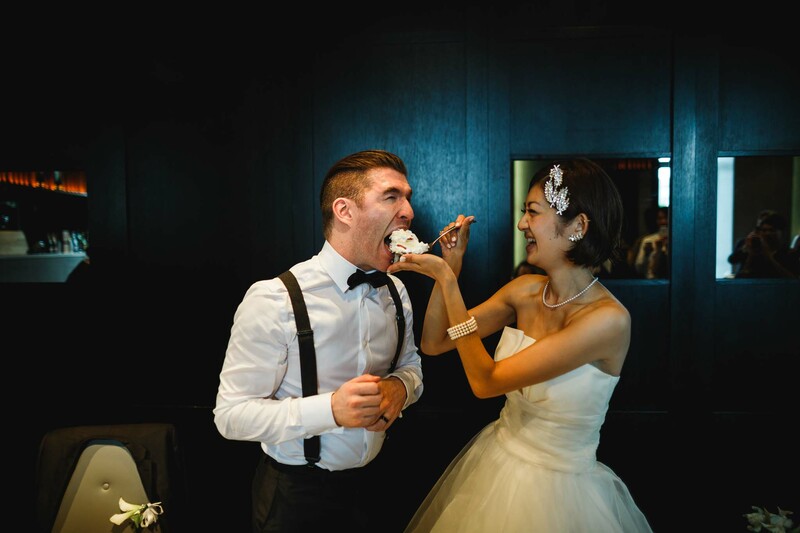 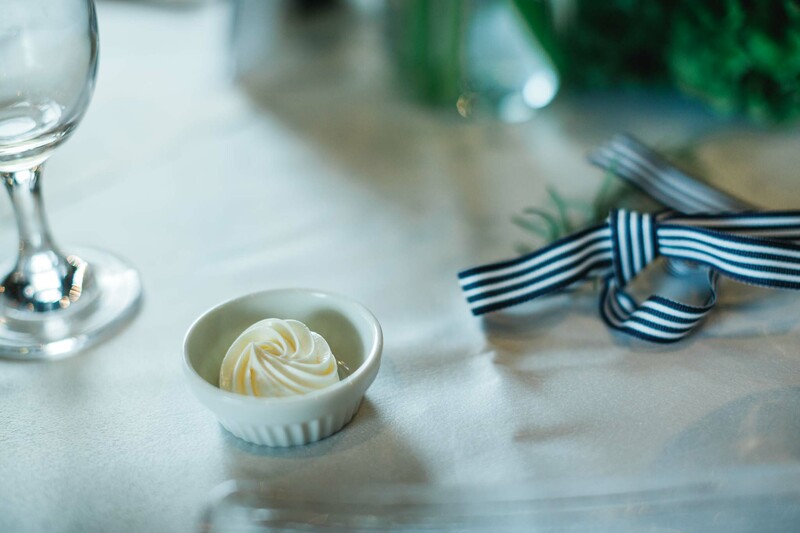 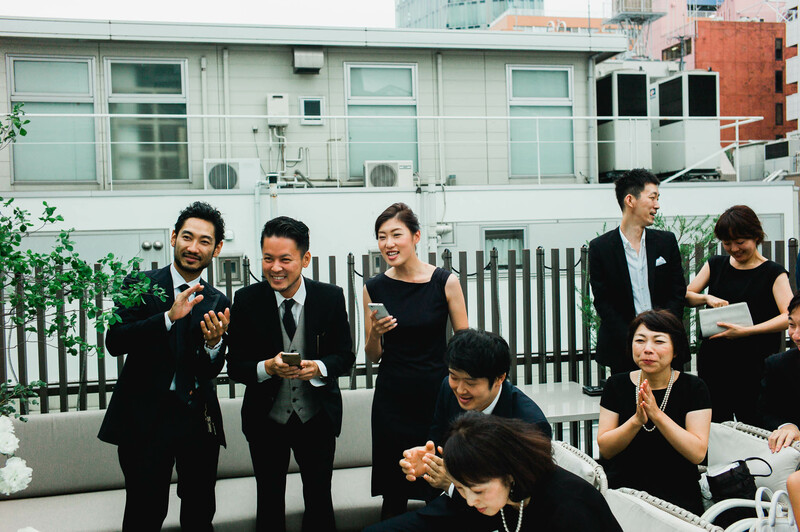 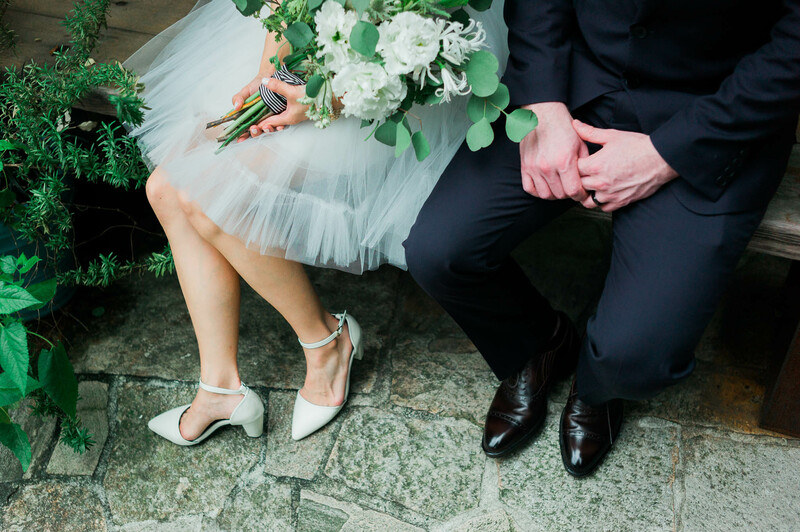 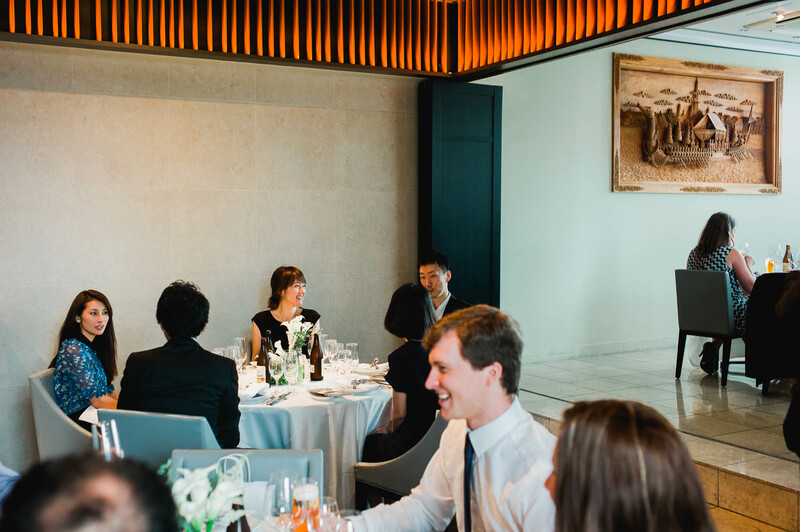 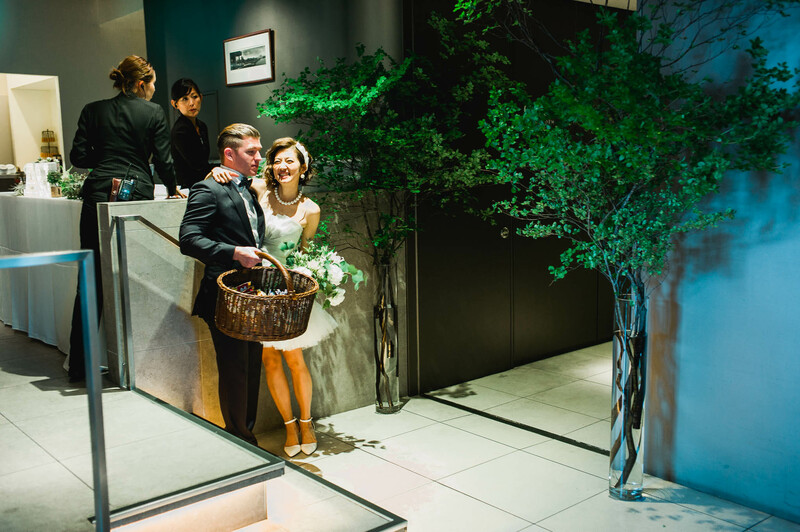 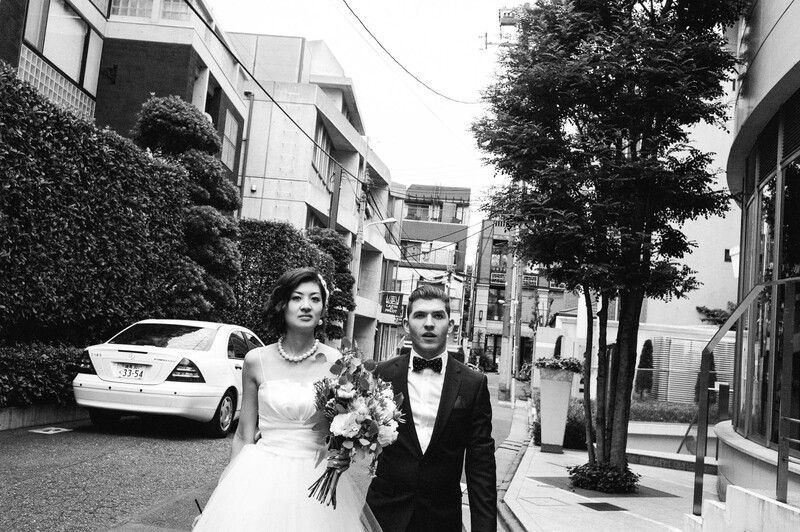 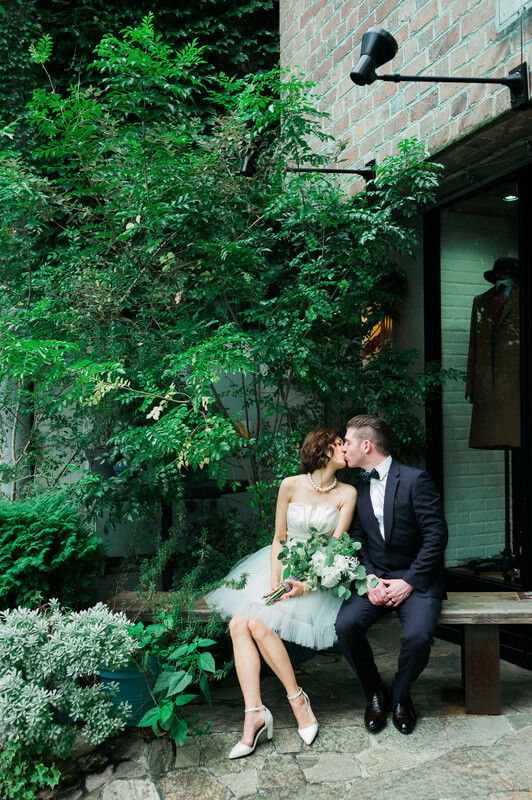 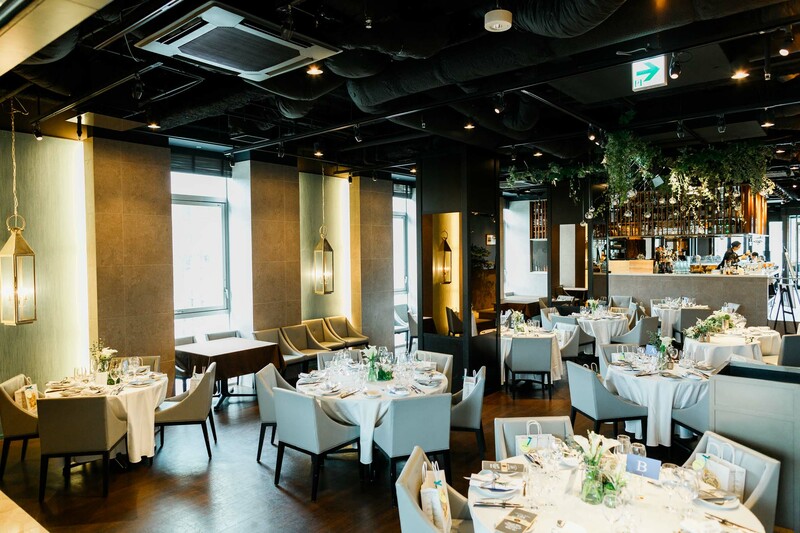 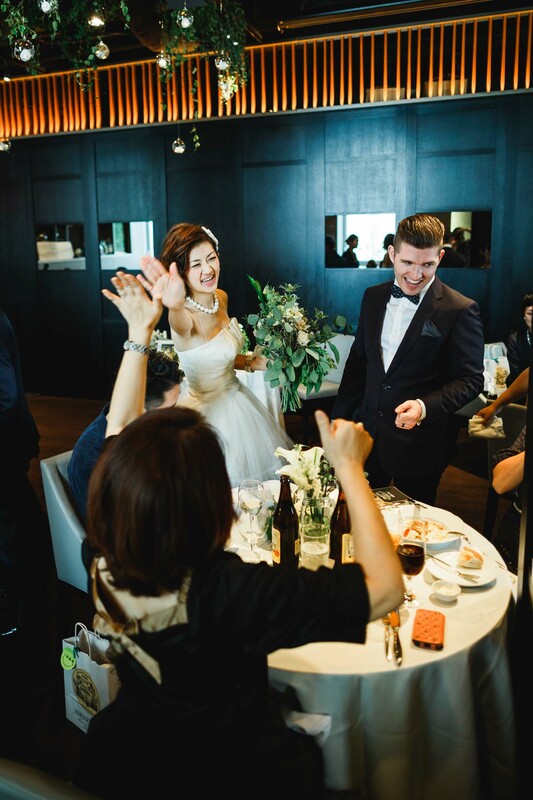 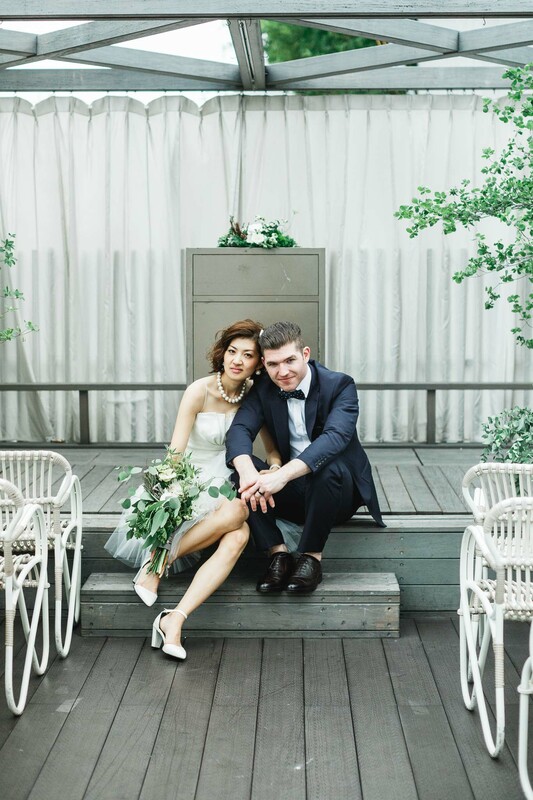 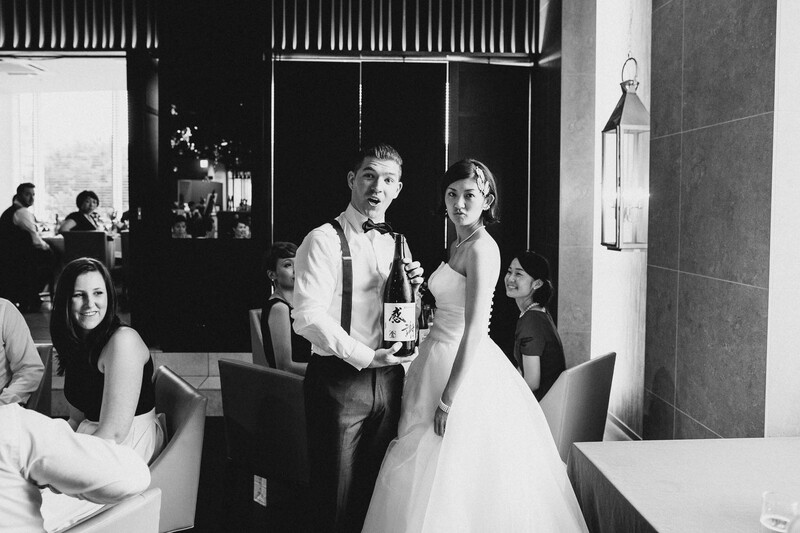 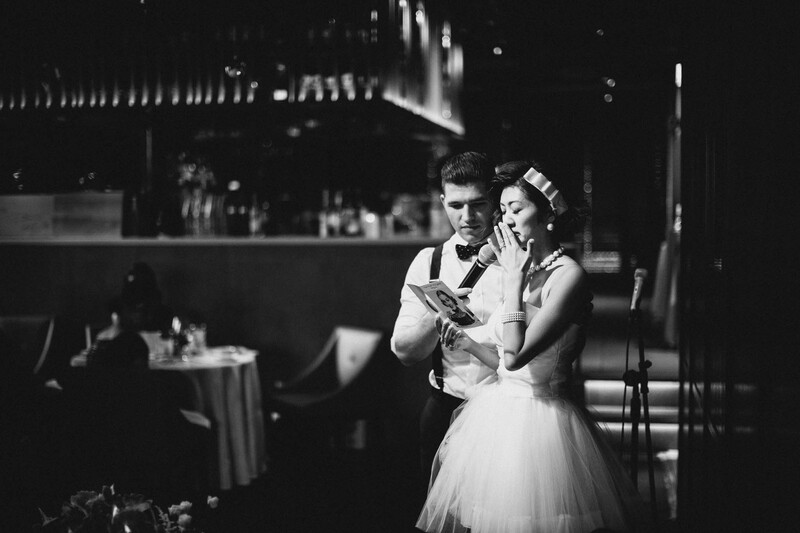 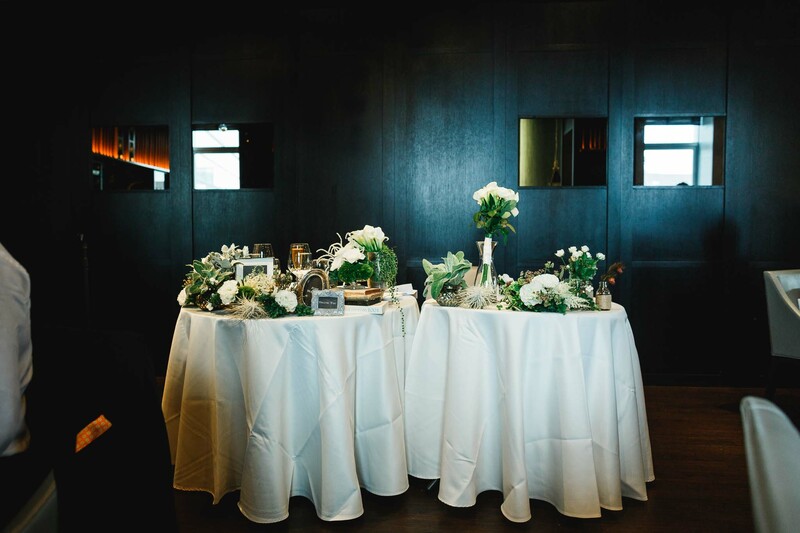 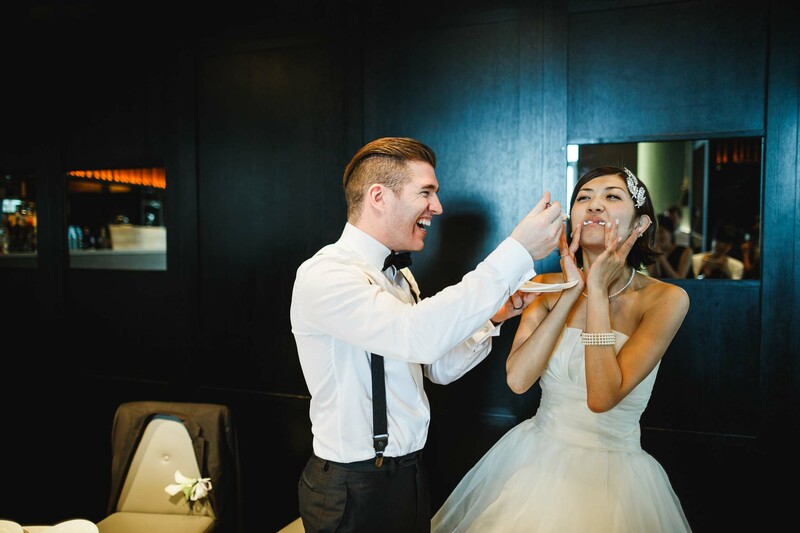 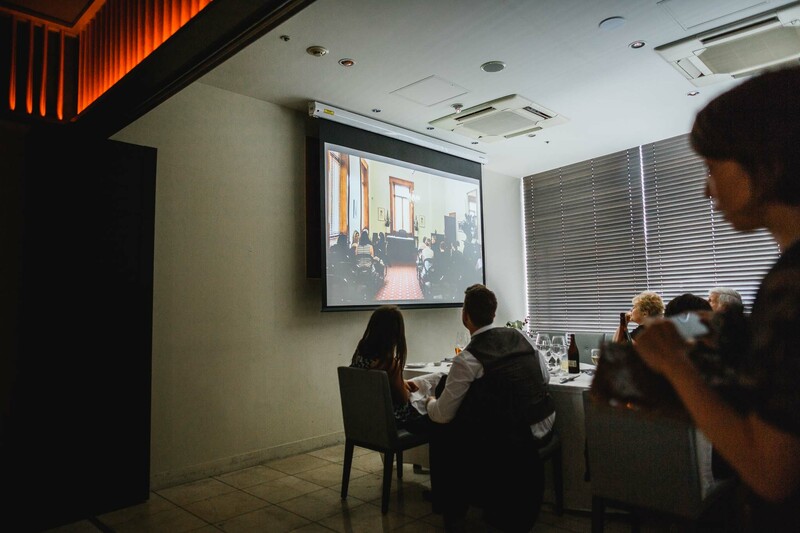 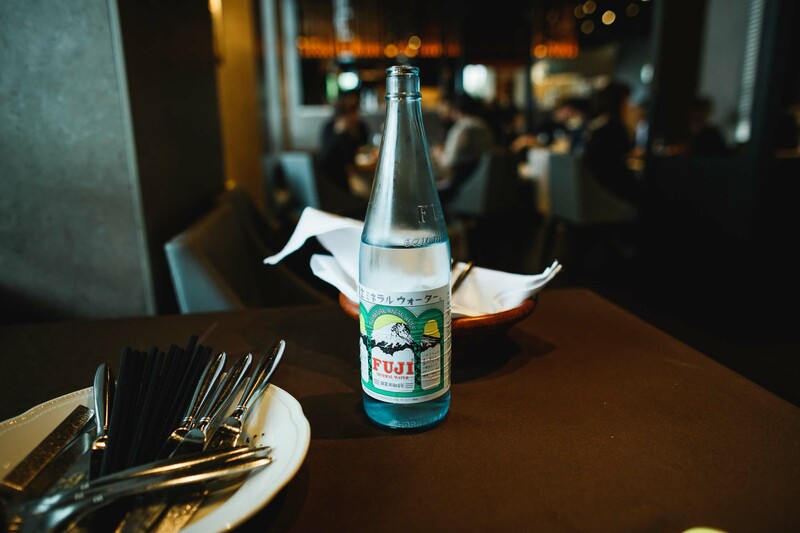 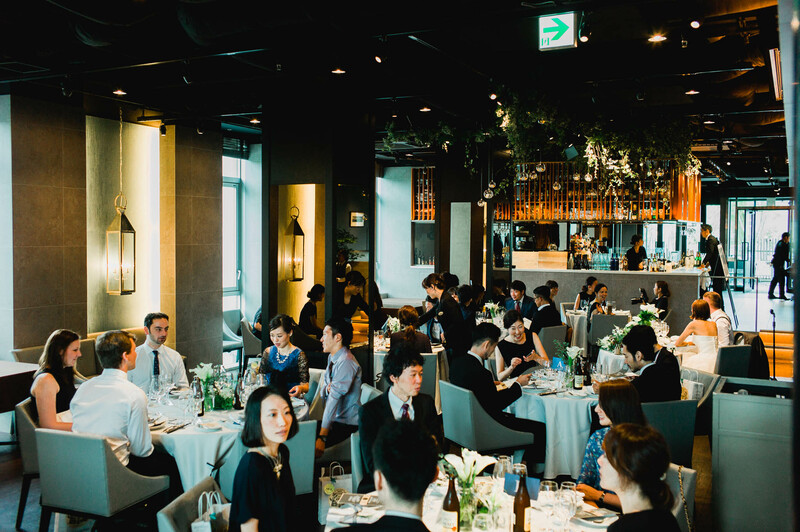 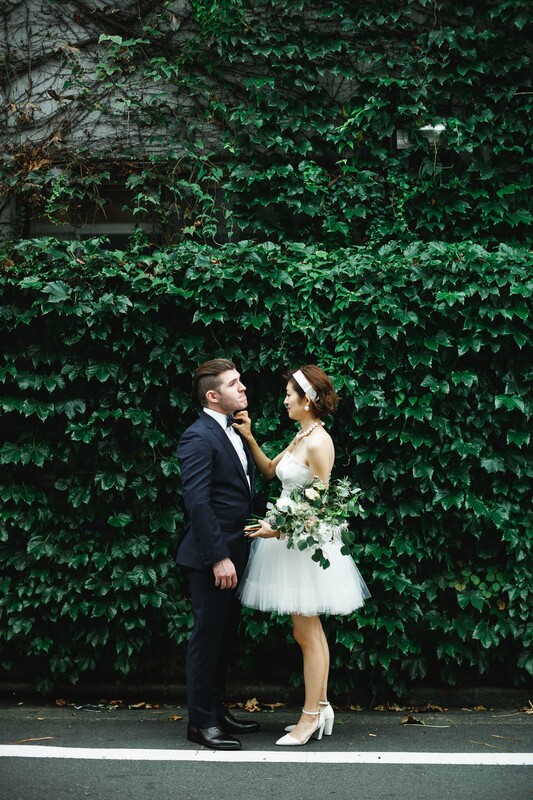 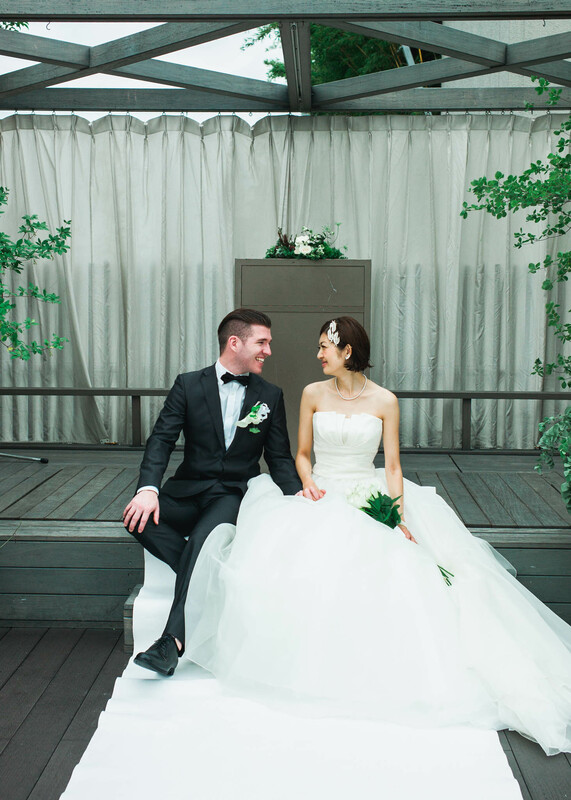 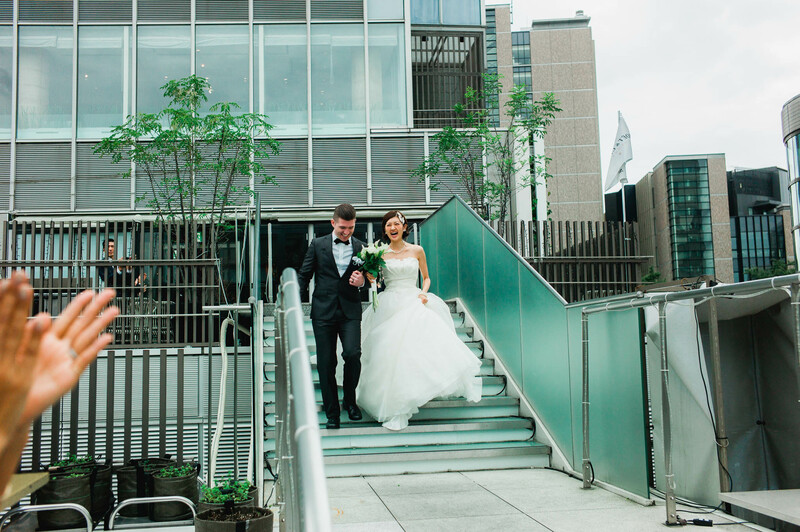 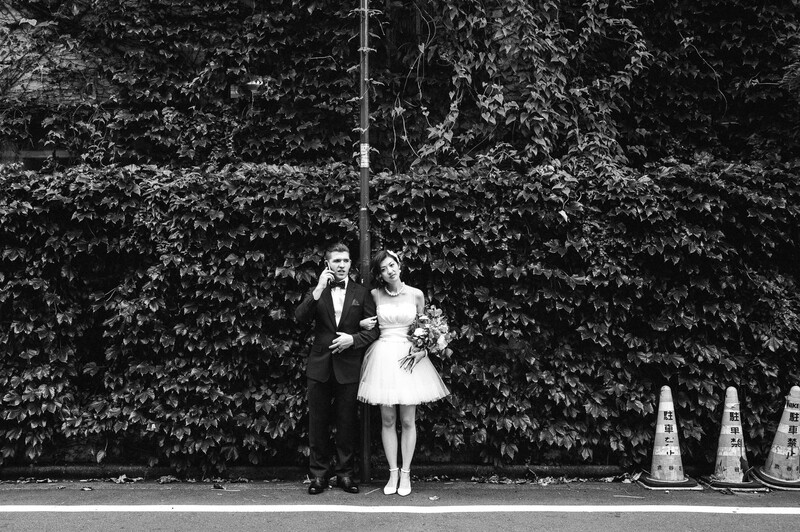 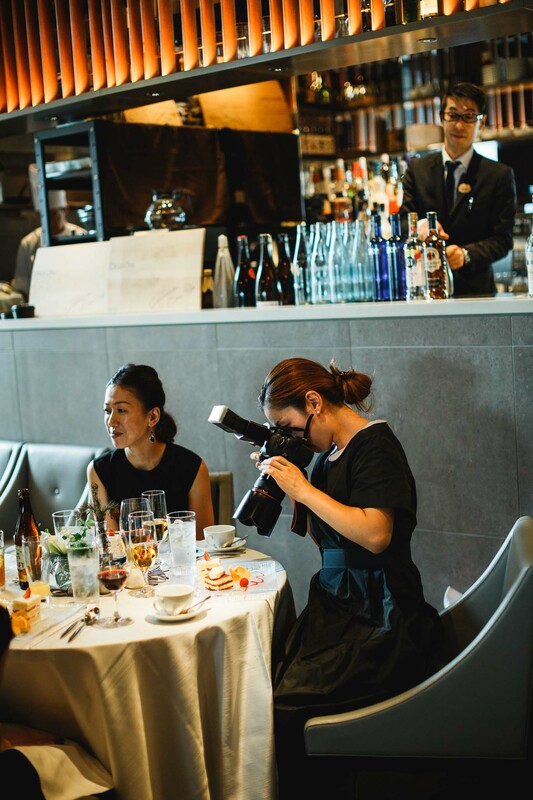 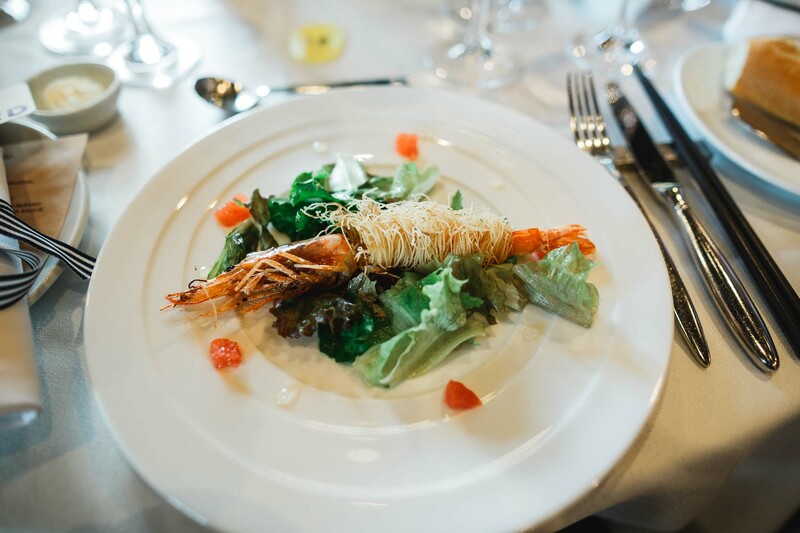 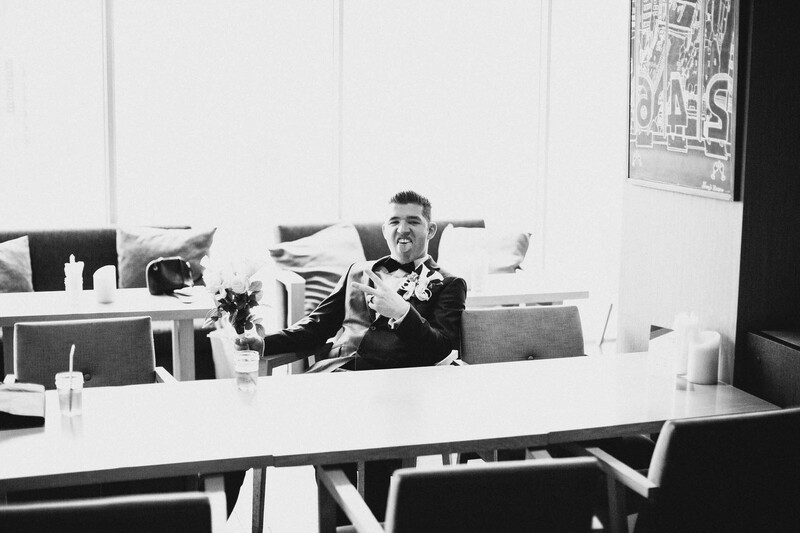 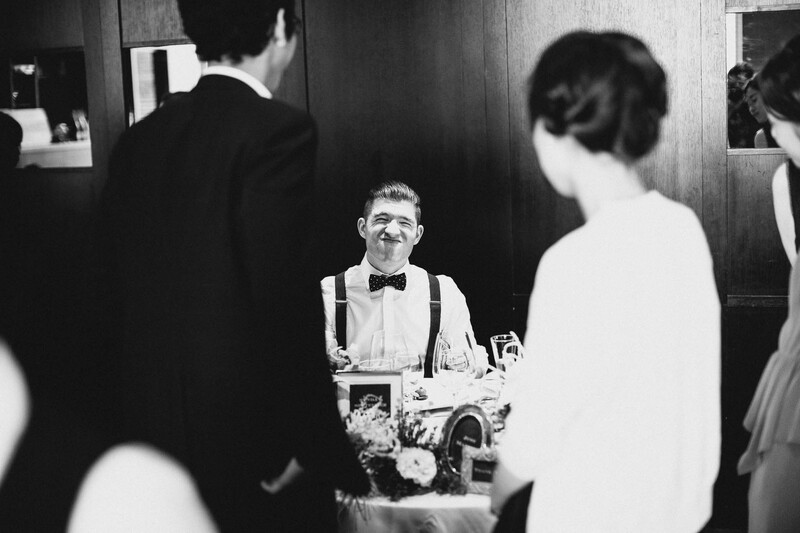 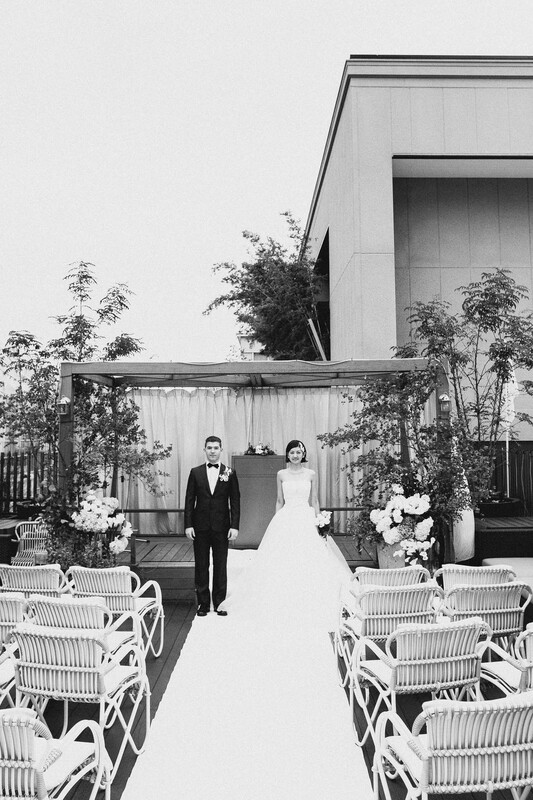 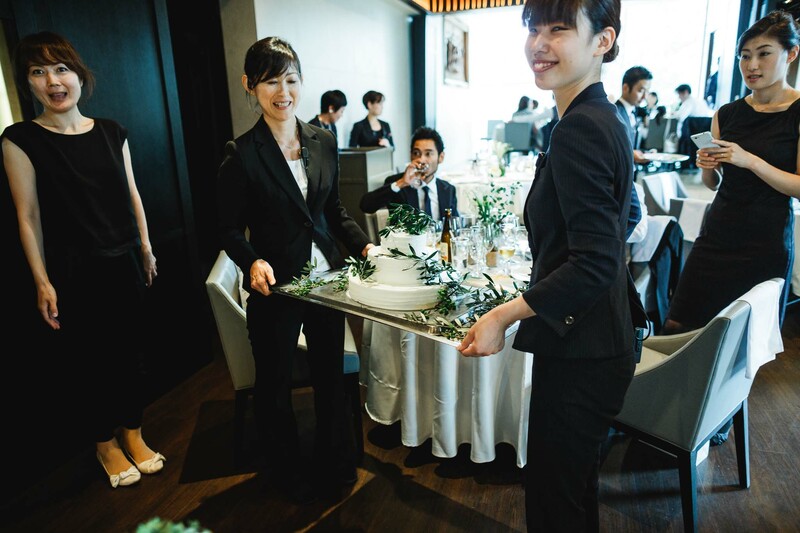 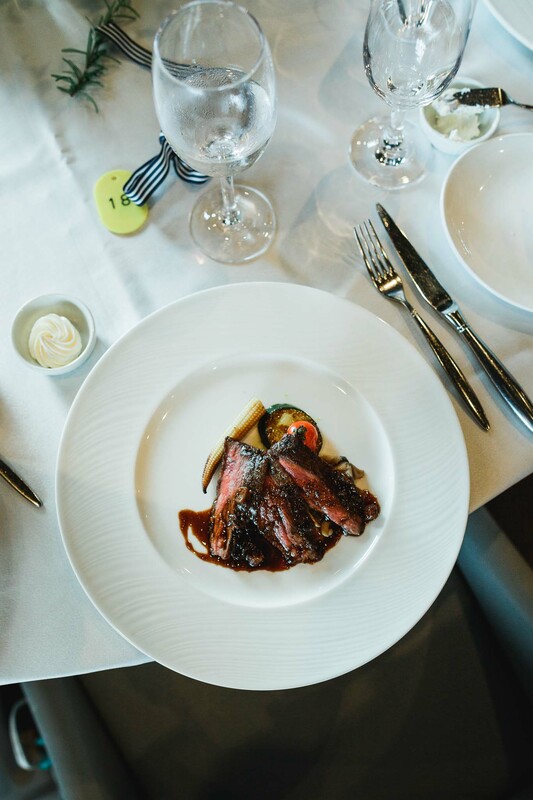 Tokyo Wedding – Aico & Jeremy. 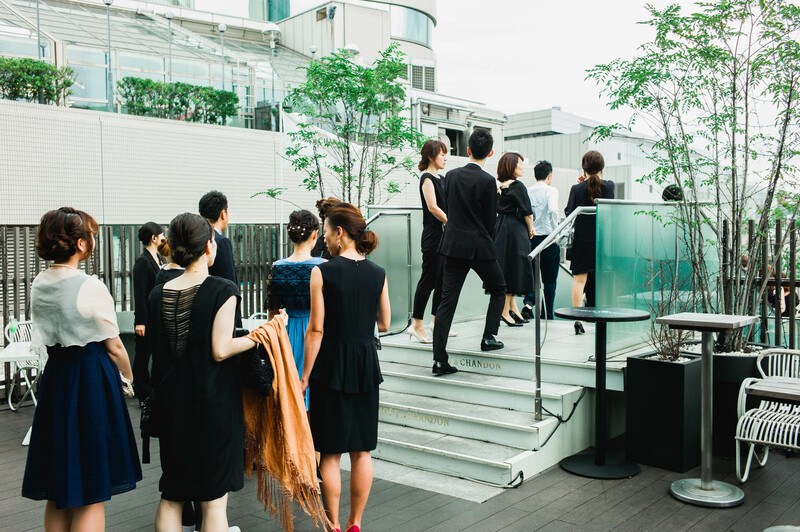 Aico and Jeremy’s lunch reception is very Tokyo. 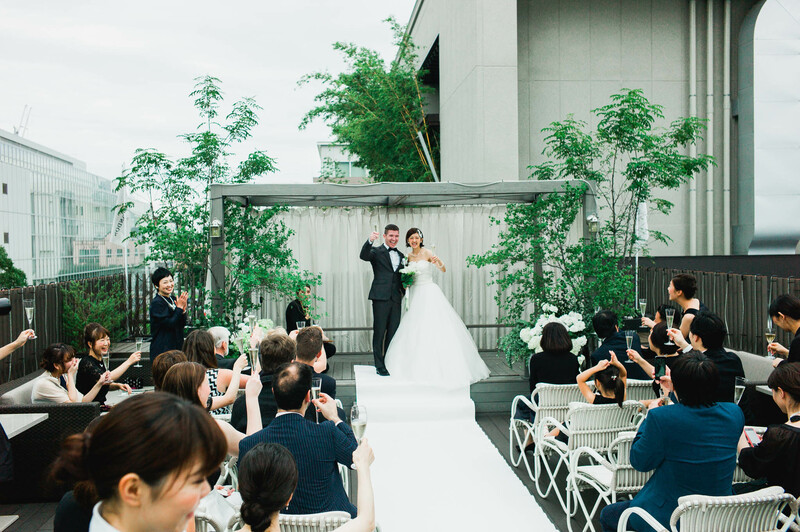 When I say ‘ a wedding in Tokyo’, most likely you’re imagining the bride wearing a kimono. 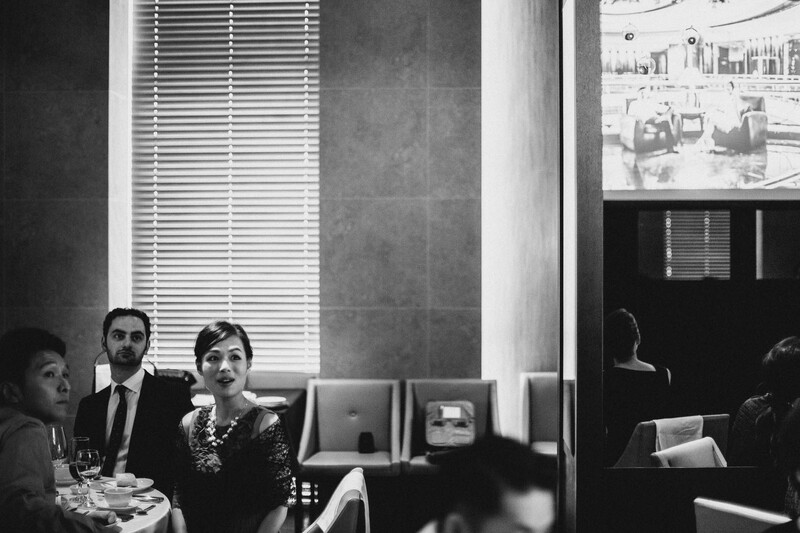 An entourage following her, lead by a chanting Taoist monk. 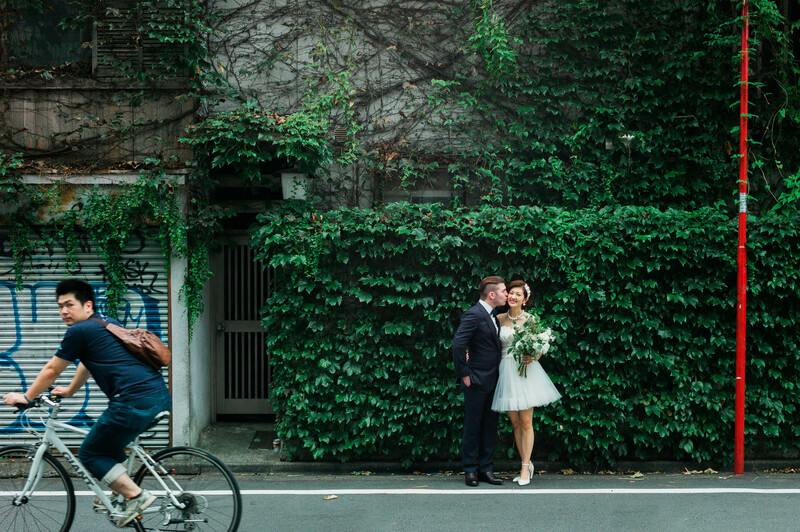 Strolling through an autumn park. 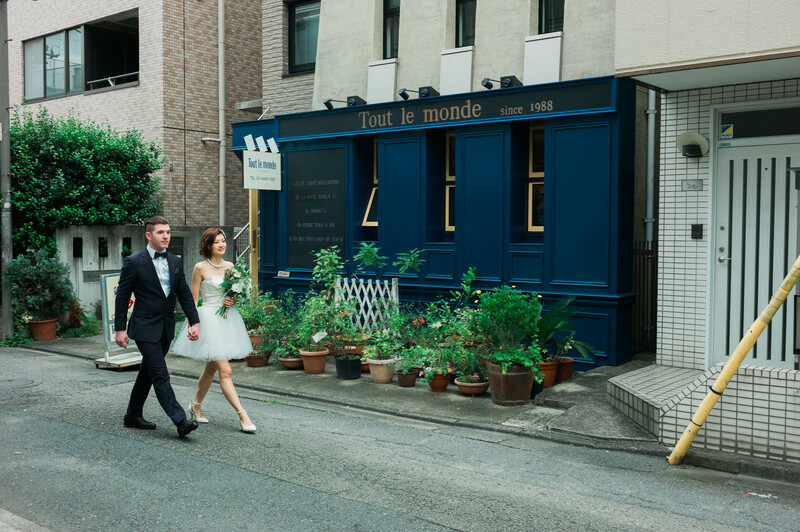 But Tokyo is a very big place. 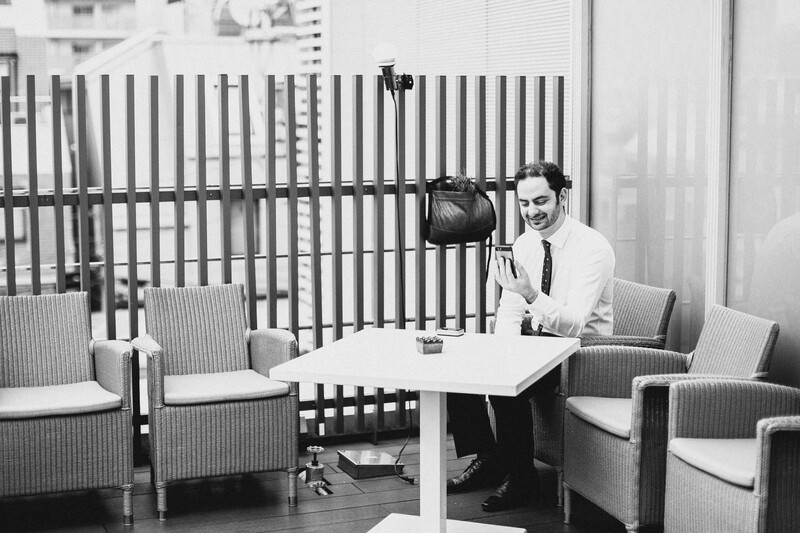 For every traditional tea ceremony, there’s a robot cafe to balance its duality. 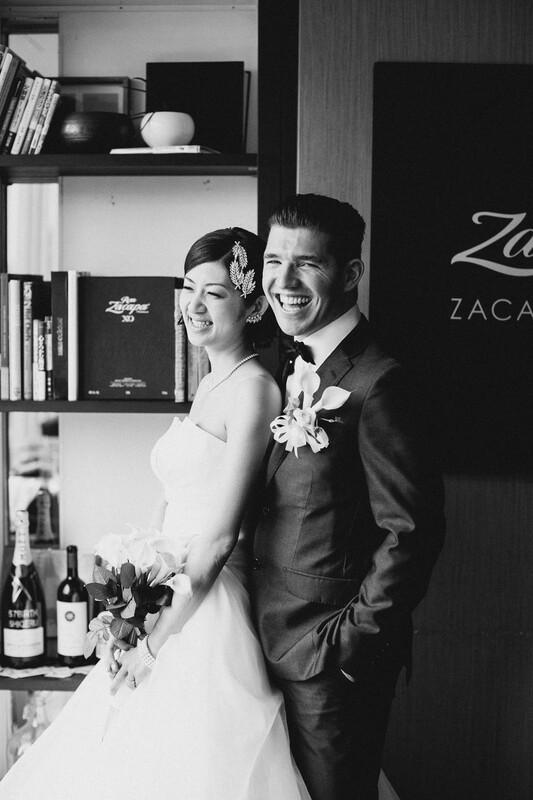 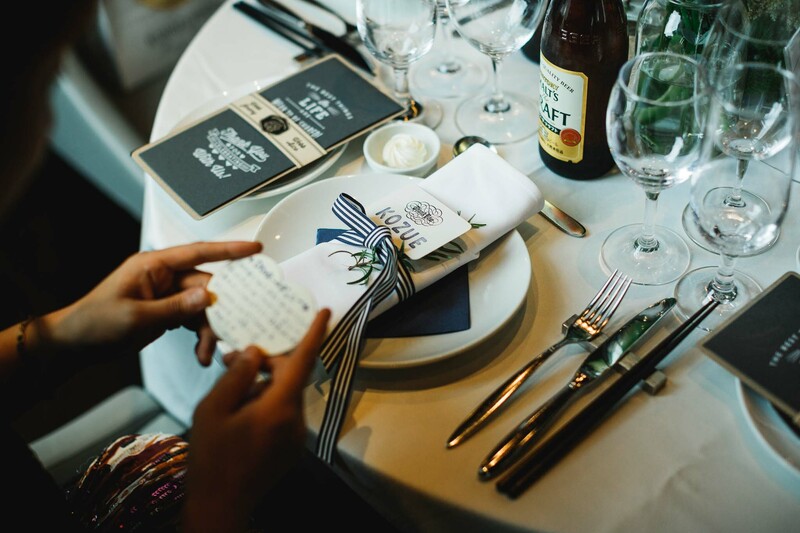 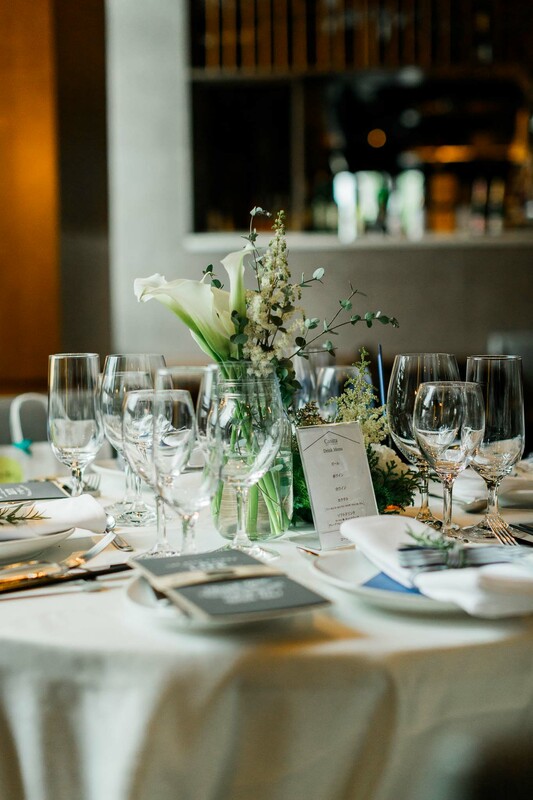 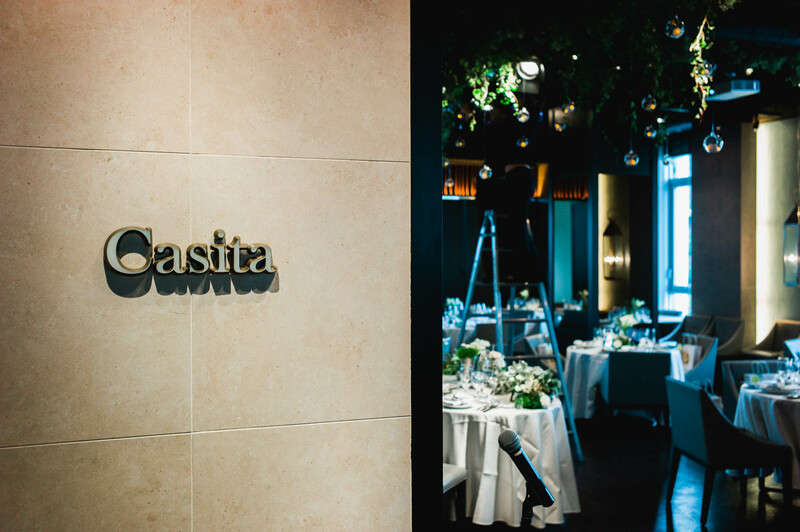 For every traditional wedding you have in mind, there is a cosy and modern one. 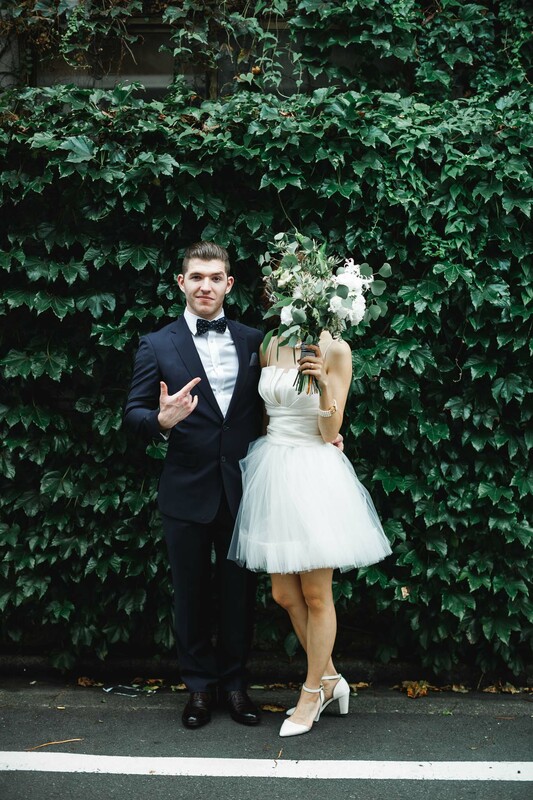 One with a white dress. 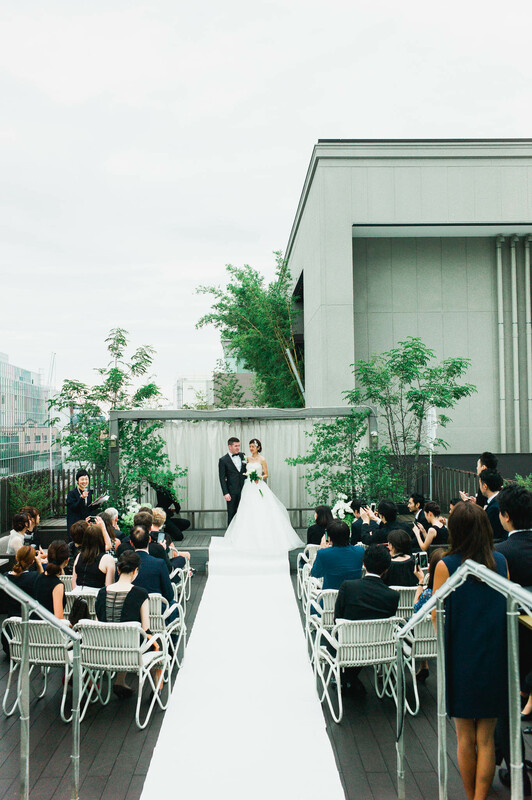 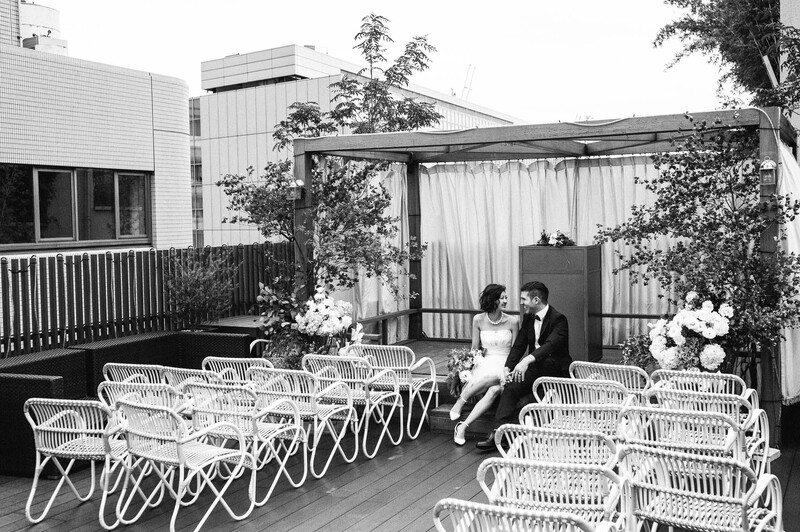 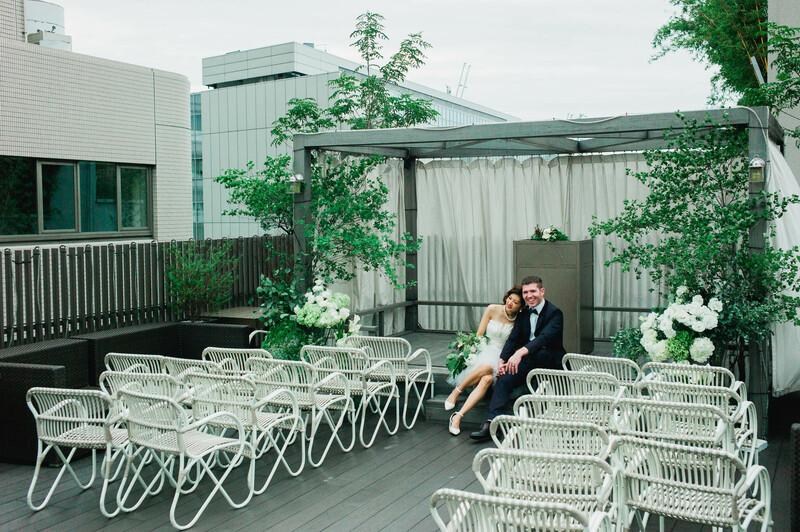 One with a ceremony on a balcony overlooking the concrete jungle. 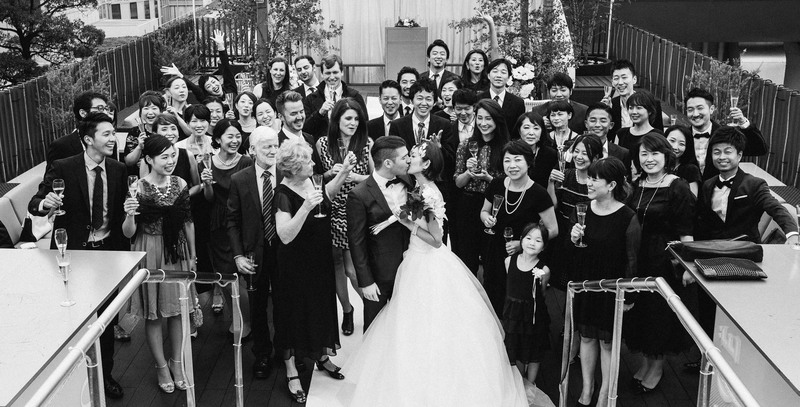 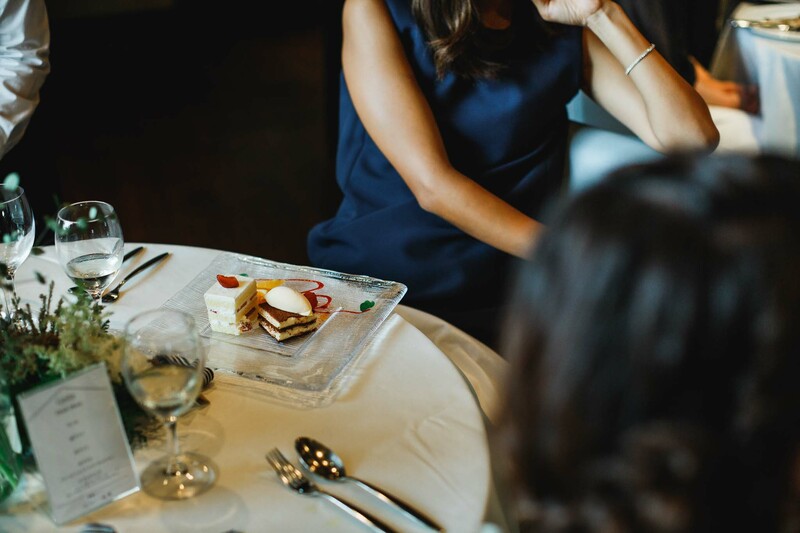 Aico and Jeremy’s wedding threw me off a bit as it was so familiar, yet different. 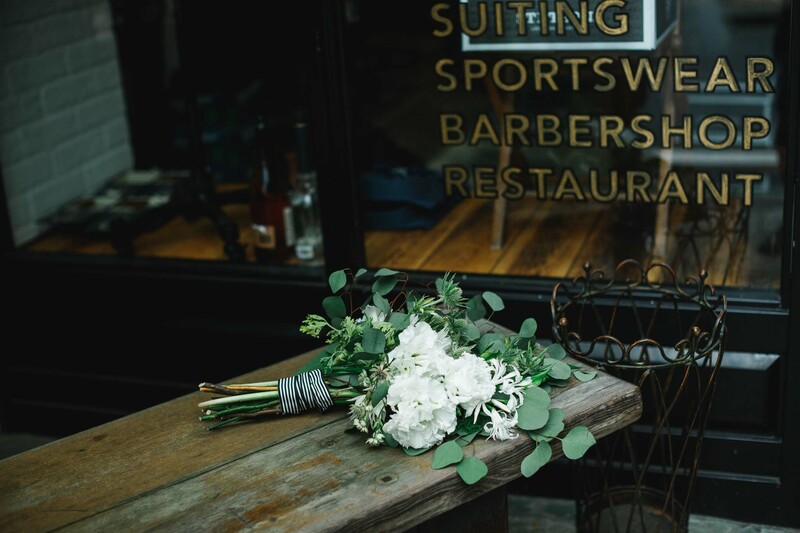 It could be anywhere in the world, but the little details stood out. 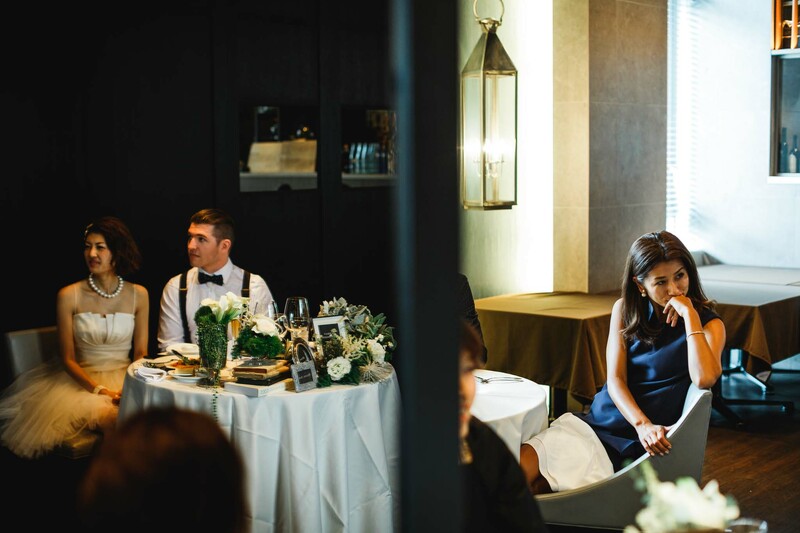 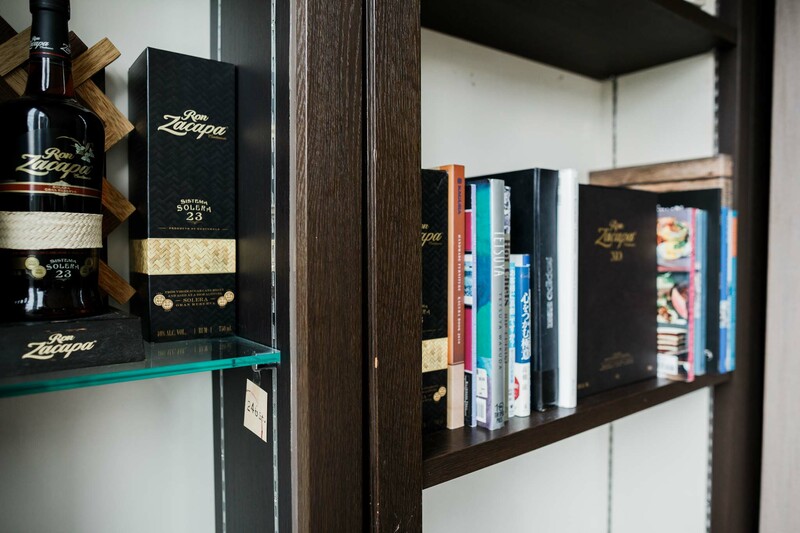 Like how there’s a hidden room for the bride which you unlock with a book on the bookshelf. 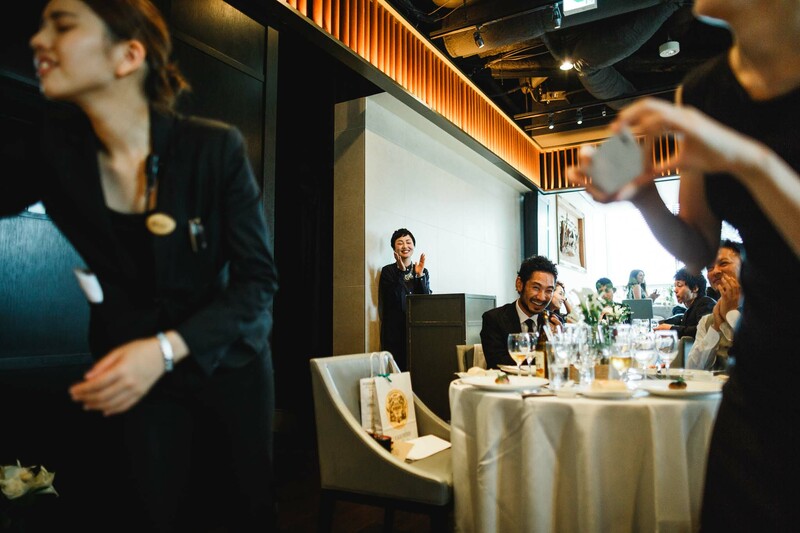 There’s a manager with an ear piece updating us on 15 minute increments. 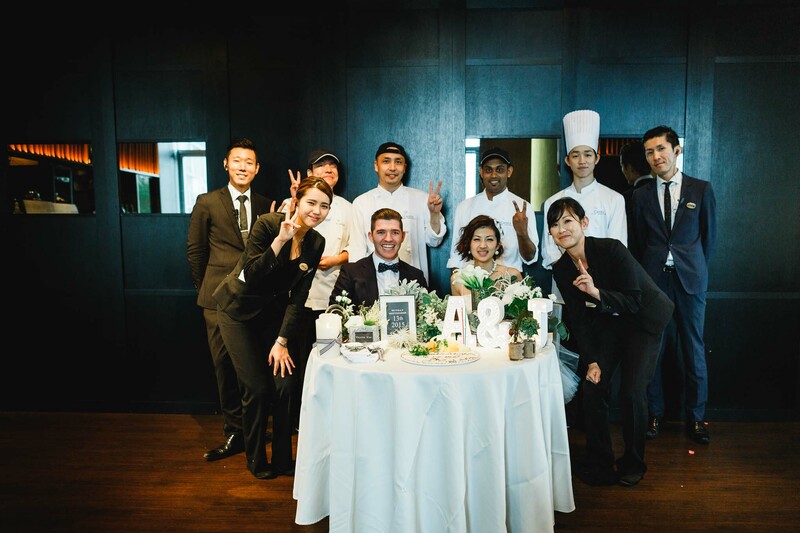 The whole crew, including the chefs came out to wish her well with a cake, and insisted I join their group photo. 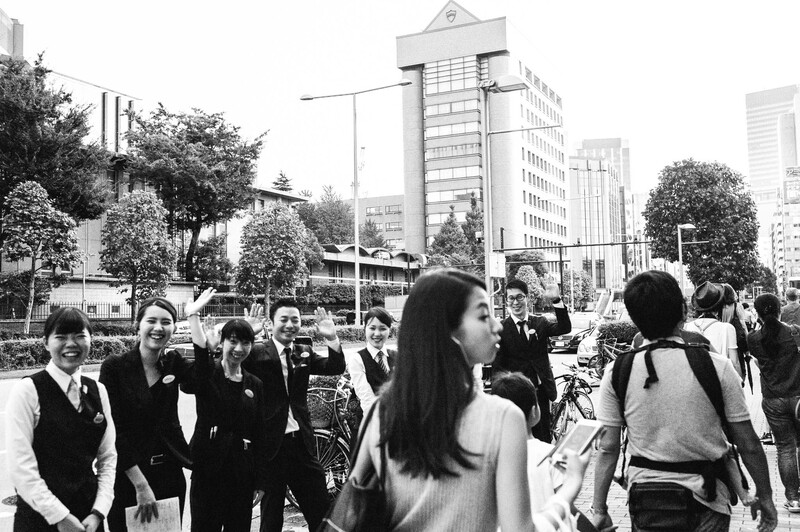 They sent us off the street and waved until we were out of sight. 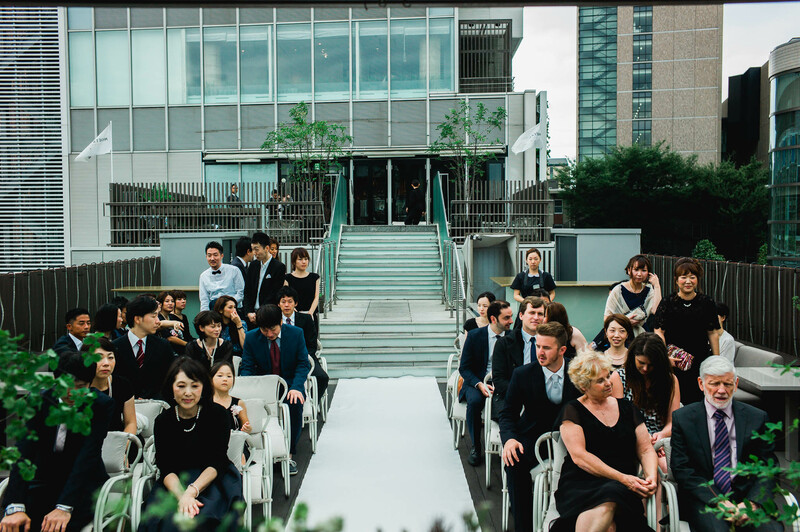 Bear no doubt: this is a wedding in Tokyo. 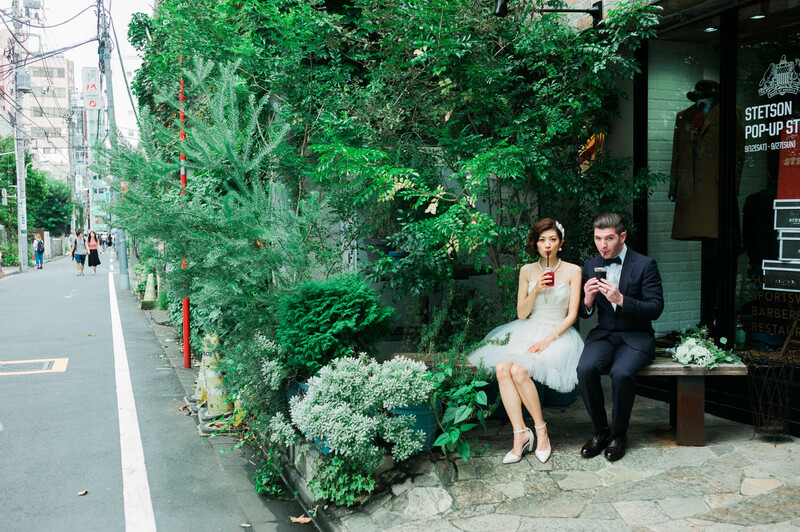 Originally, we intended to go Yoyogi Park for some formal portraits. 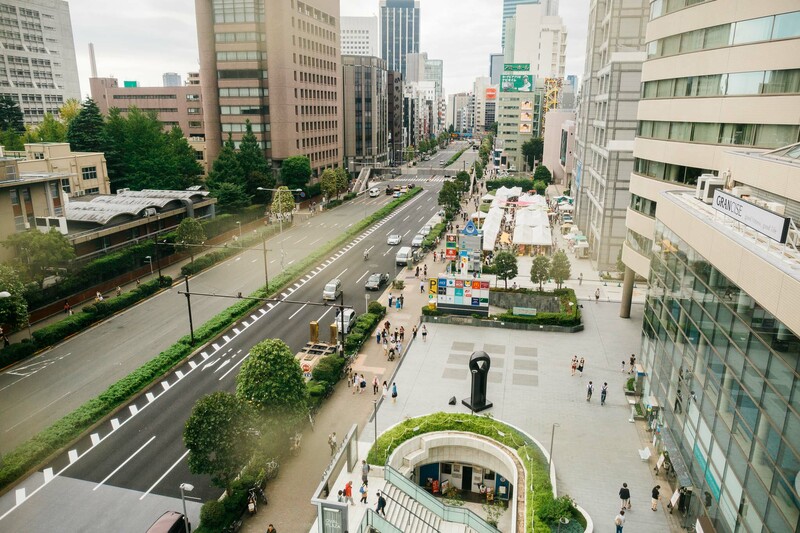 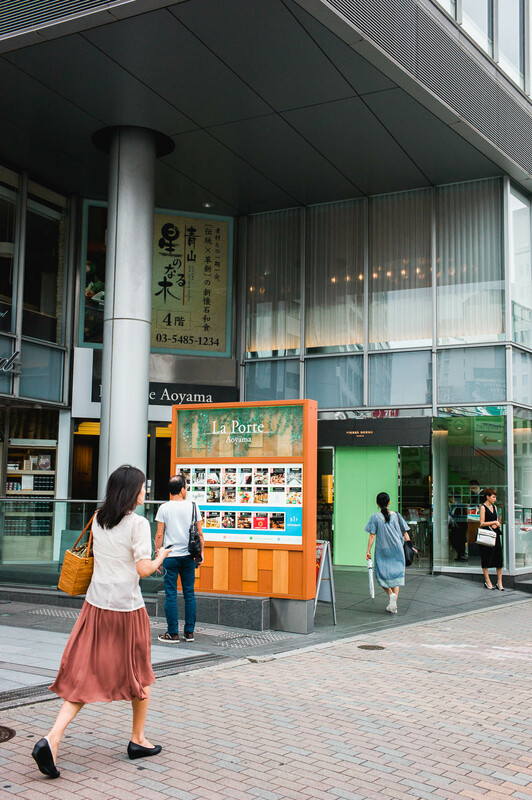 But since we were in Omotesando, I thought the modern buildings juxtaposed against the old streets and witch’s hats will make it more ‘Tokyo’ than it already is. 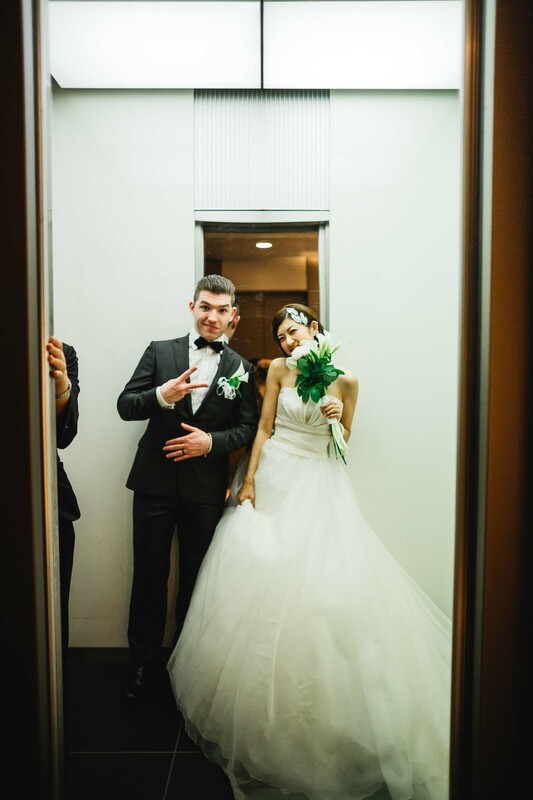 I do not regret making the last minute call.